This trip promised well much before we left Poland. I knew that the new, exceptional specimens had been coming out around the Madan area since December 2011 but had no time to visit Bulgaria before. This time I went with my friend and preparation specialist – Jurek – from Poland. 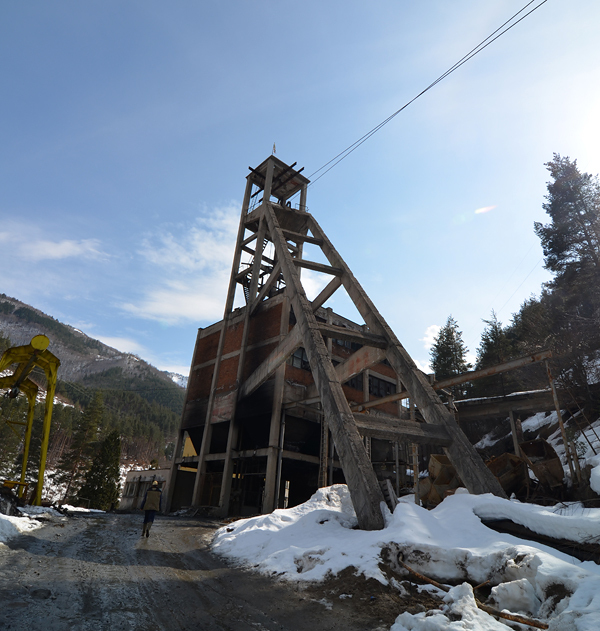 We stayed in the area almost a week visiting mines, miners and some touristic spots. 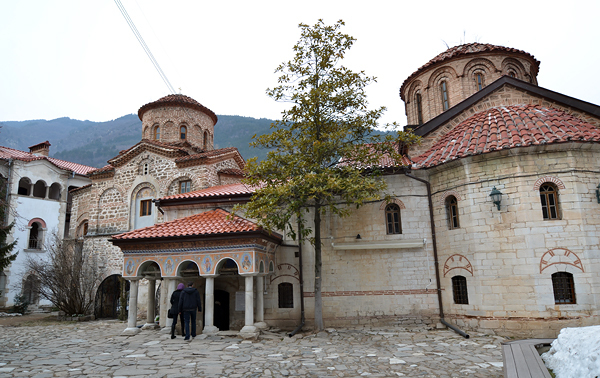 We flew to Sofia and drove from there to Madan. 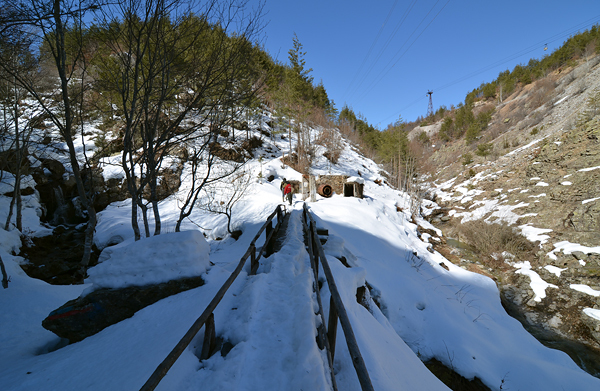 This winter was one of the snowiest and coldest in the last 50 years in the Rhodope Mts (and the rest of Europe too) so even in March there was still quite a bit of snow. Apart from that the weather was very nice – sunny, but rather cool. 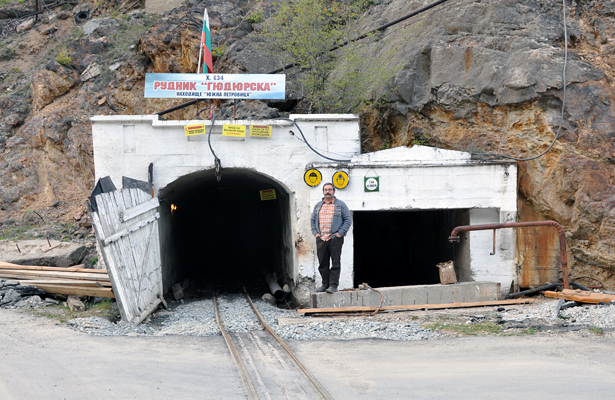 When we arrived to the town we quickly noticed that (same as a the last time I was there) there was a strike and nobody worked either in Krushev Dol or in Borieva mines. 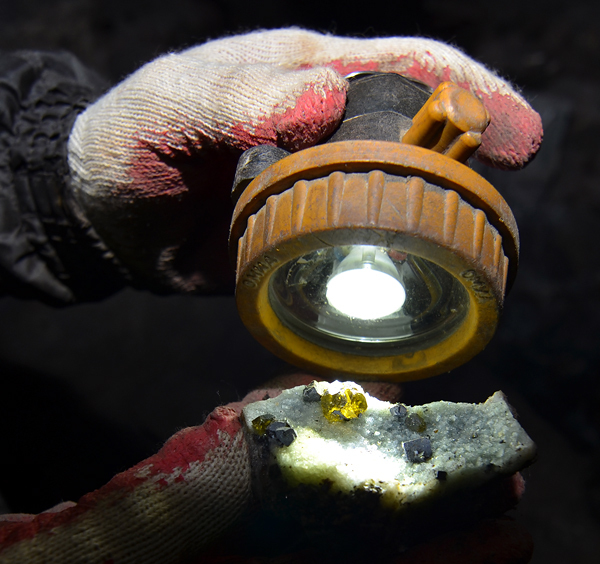 The owner of the mines as usually had not paid to the miners for the last 3-4 months, what is more when they finally got paid it is never the full amount of monthly salary! This is not very surprising that people are not satisfied with that, as they need money to feed their families. We stayed a while with protesters showing solidarity with them. 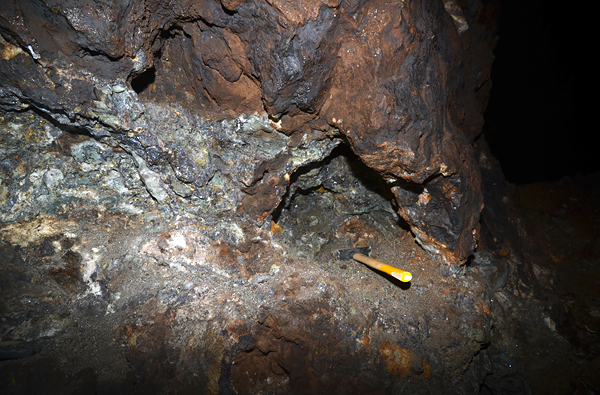 The most important mineralogical news from the area was a huge – about 15 meters big – pocket in the Krushev Dol mine which produced exceptional sphalerites var. 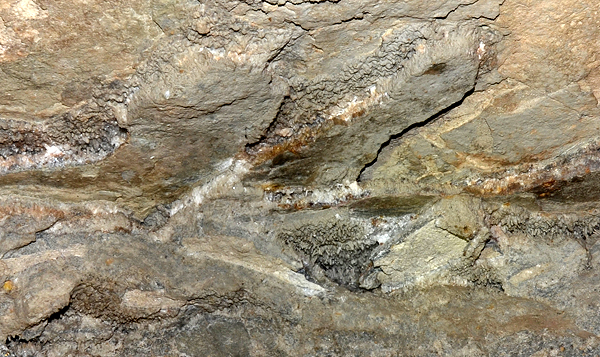 cleiophanes. 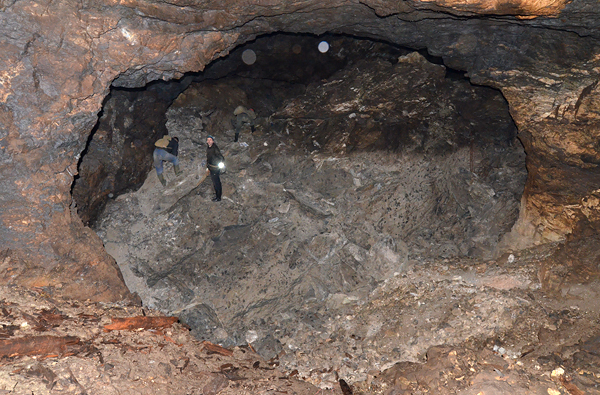 It was the first time ever the cleiophanes were found in this mine. 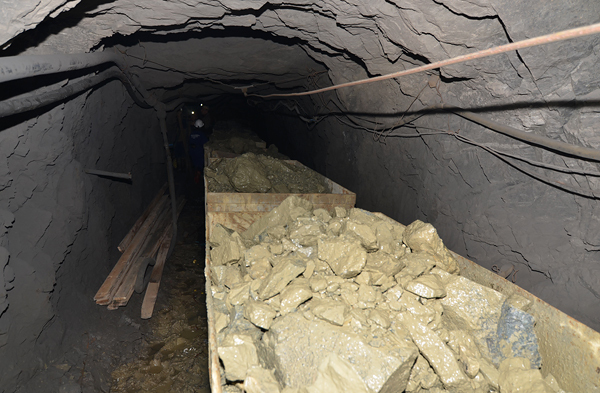 They are known from several localities from the area, but really good quality used to be produced only in the 9th September mine. 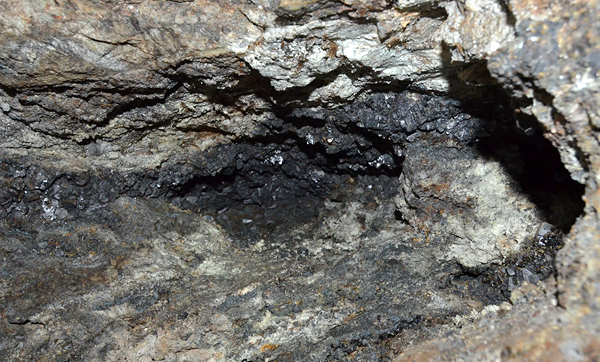 The find in Krushev Dol was important for several reasons – first of all, as I wrote above, it was the first time for this mine to produce cleiophanes, secondly there were a lot of specimens (hundreds of good ones), thirdly cleiophanes were of very good quality (very clean) and the crystals were quite big! 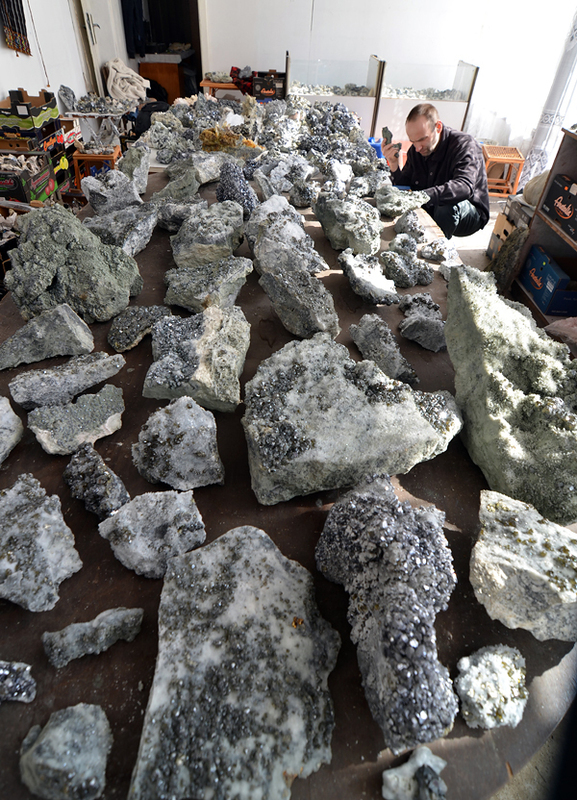 The majority of specimens was very big, reaching 10 to 40 kg and needed very major trimming. 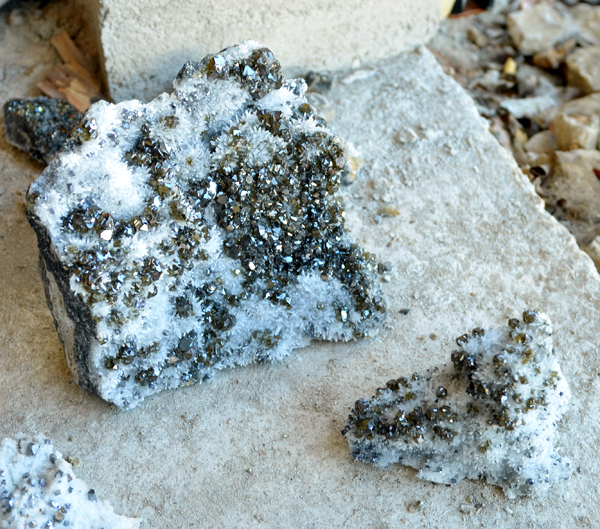 Size of crystals reached up to 2 cm, majority of them were sharp and very lustrous. A lot of them where only translucent but some were completely gem! Colors varied from yellowish, brownish and yellow-greenish to green ones. 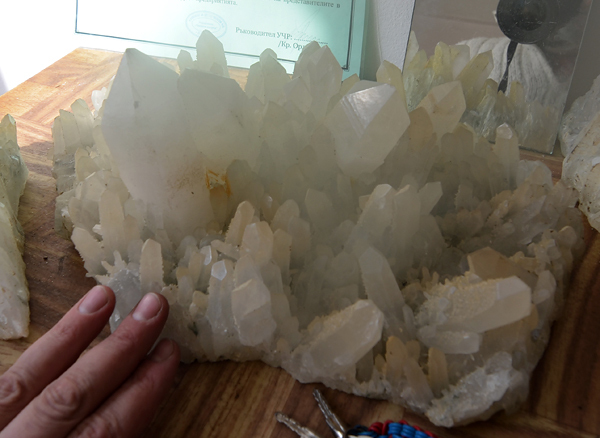 The biggest clean, sharp, lustrous crystals reached up to 2 cm! 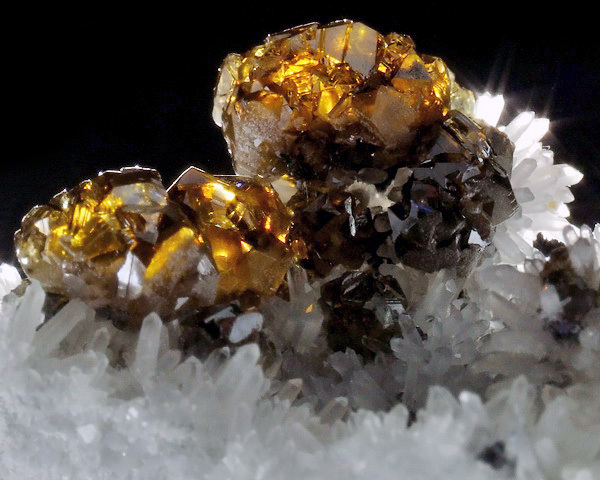 Moreover, in opposite to 9th September specimens, the ones from Krushev Dol mine where perched on white quartz, frequently associated with small cuboctahedral lustrous galenas and sometimes with golden chalcopyrite! All this gives good aesthetics and contrast to many specimens. 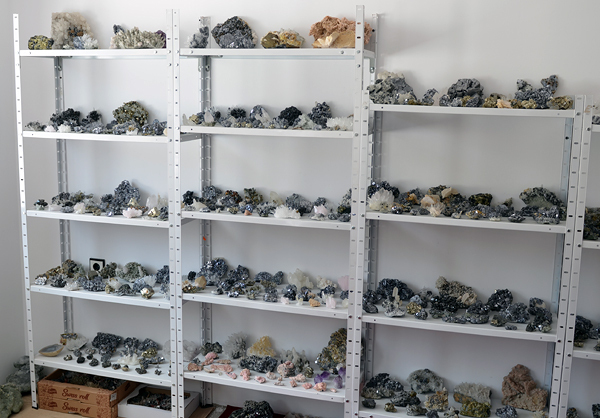 Photos in our report show some of the first specimens after trimming and cleaning, but majority of our inventory needs much more time to be prepared well. 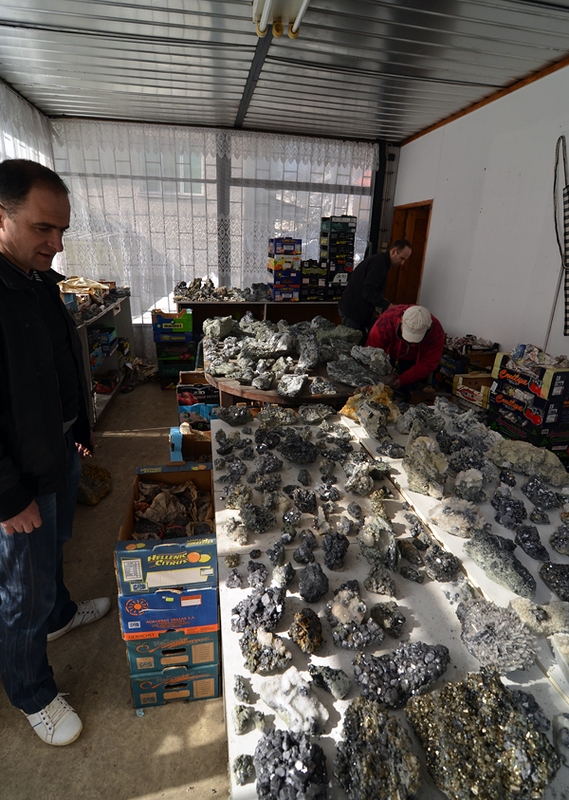 Thanks to our Bulgarian friends we acquired the majority of the top specimens from the find what was probably around 1000kg! 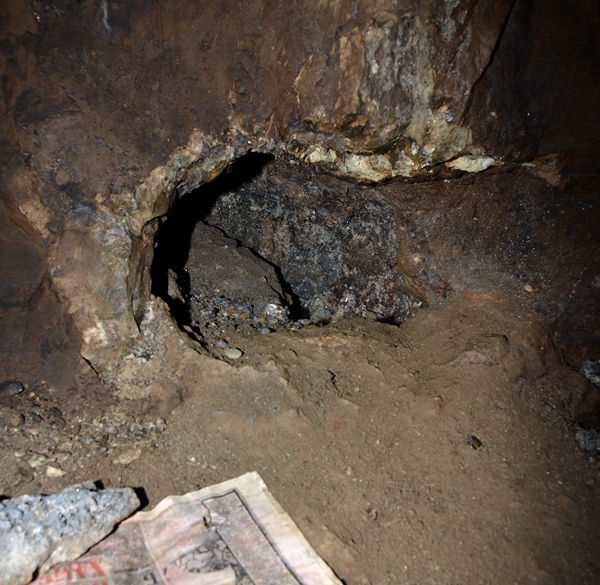 Unfortunately while we visited Madan the pocket was already done and even if it had not been the strike made impossible to visit the mine. During the extraction of specimens only few low quality photos where taken with cameras in the mobile phones – you can find the best one (still not good) among the photos below. 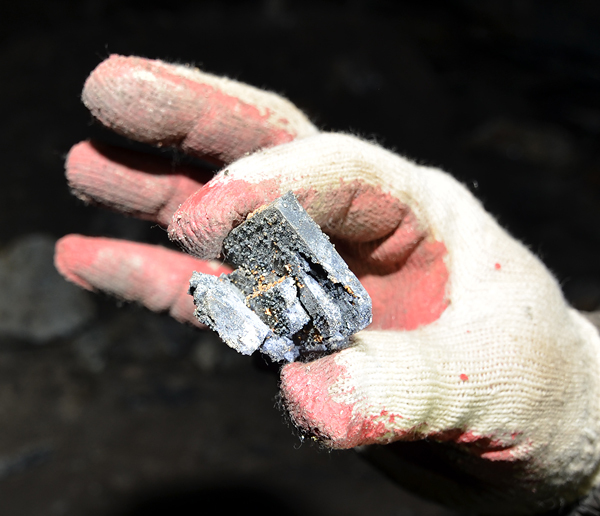 After our last visit (in November) Krushev Dol mine produced also several new top quality specimens from a prominent pocket with sharp, big, lustrous spinel law twinned crystals associated with quartz. One of them – museum size – was really outstanding! 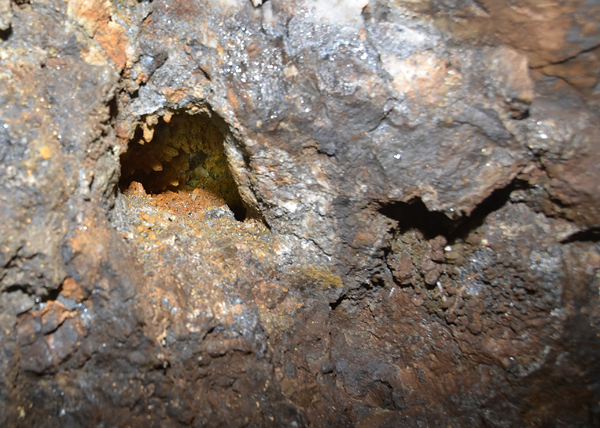 Not as important as mentioned above but still interesting find took place in Marzian mine located close to Erma Reka (close to Adnrou and Gidiurska mines). 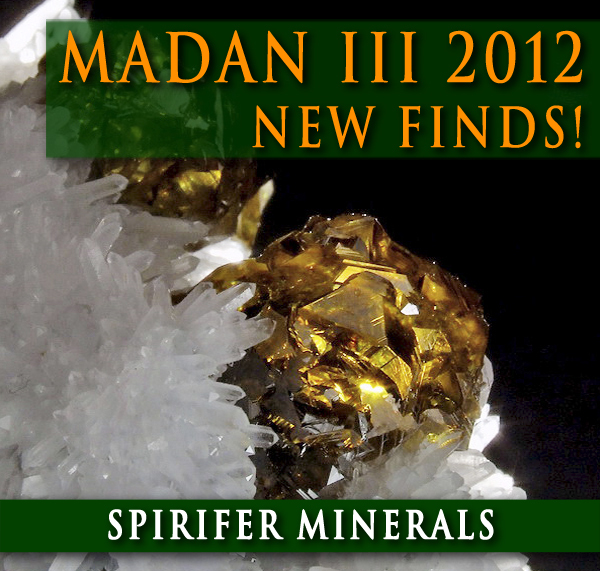 Marzian produces specimens extremely rarely, and almost never of good quality. 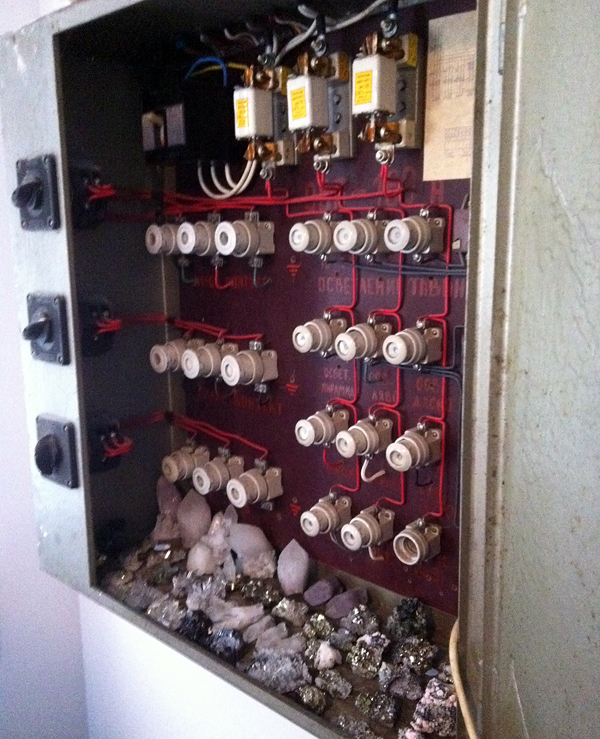 This time limited number of nice chalcopyrite, galena, quartz and sphalerite combos was collected. 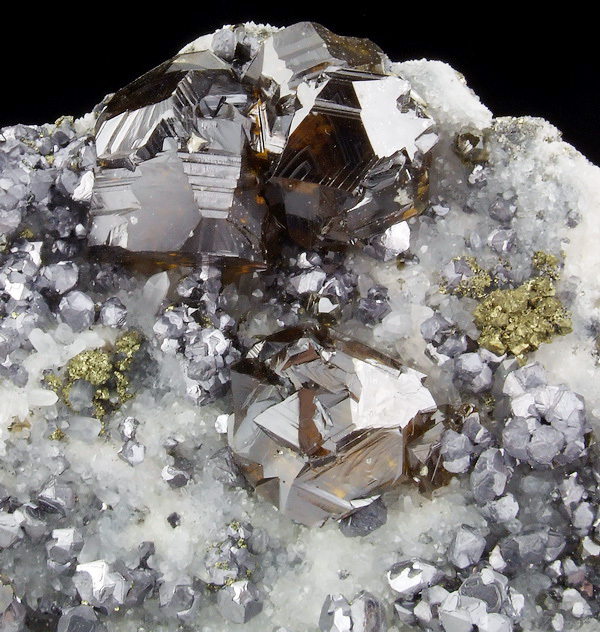 Some specimens reached museum size and the most important species in the find was chalcopyrite whose crystals` size reached up to 2 cm and had a good luster. 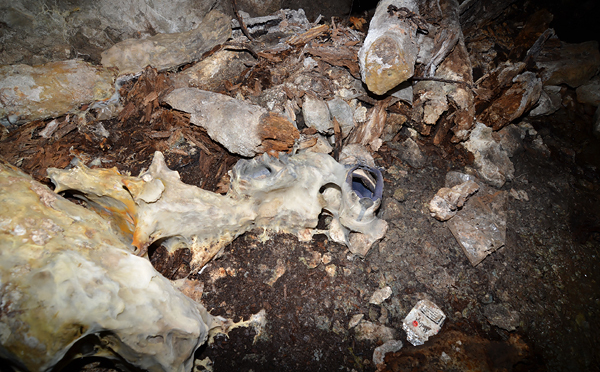 We will try to upload some photos of the specimens from that find soon. 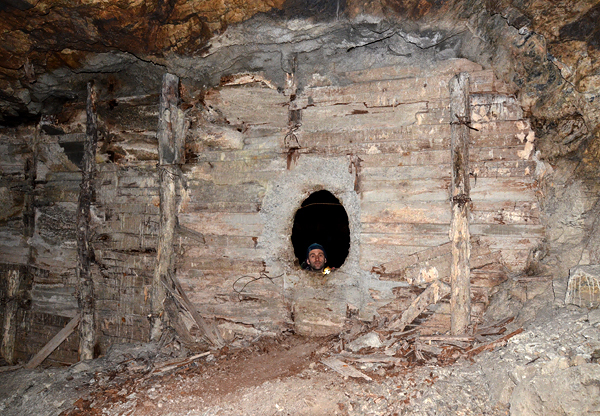 This time we had a plan to visit once more the closed mine - 9th September. It has been closed for many years. 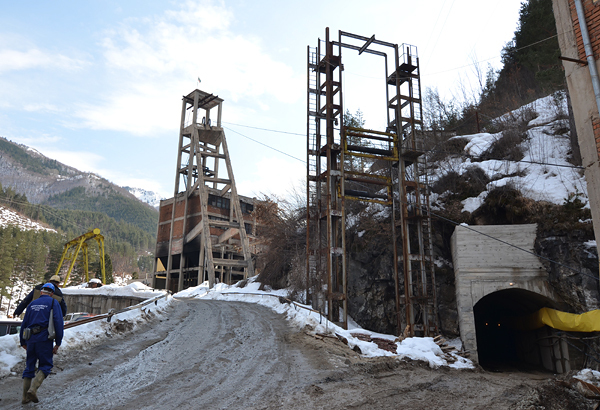 This extend mine has many entrances which are scattered in the surrounding mountains. 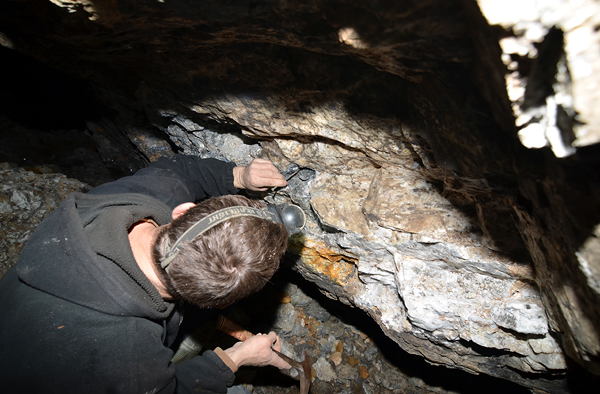 Some of the local diggers sometimes go down into the mine to dig in the old stopes where number of pockets are exposed. 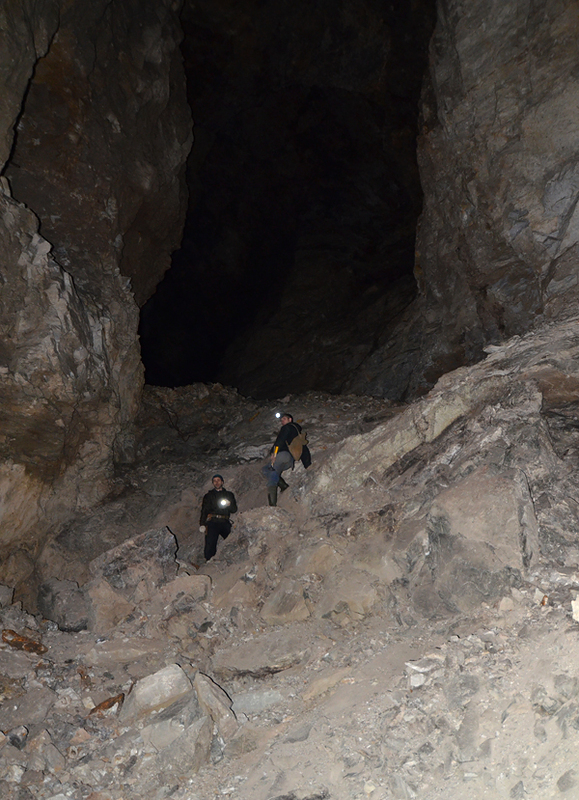 We started our trip at one of many entrances, than we walked in a long tunnel, and later descended to the lower levels of the mine. 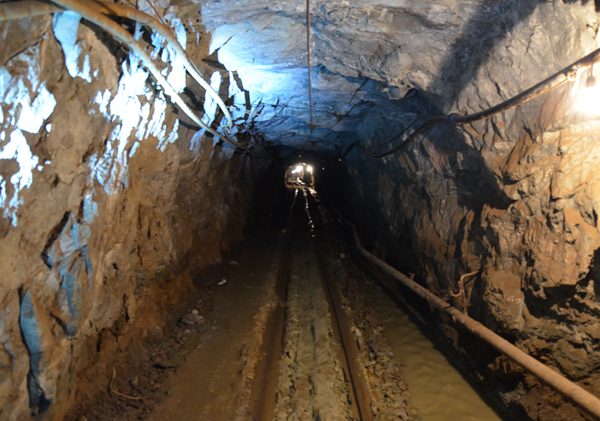 Majority of the mine workings are in good shape but some parts of the tunnels – especially in the fault zones – are collapsed, and others are partly flooded. All this makes visiting quite dangerous and adventures. 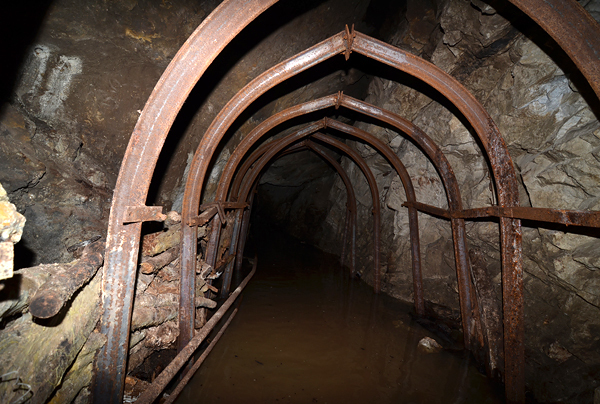 Definitely this is not a good idea for amateurs to visit this mine. 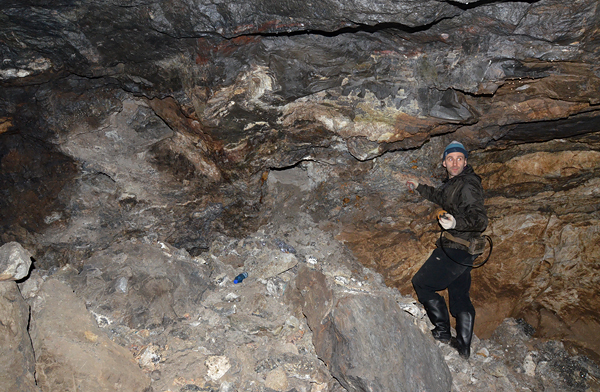 Anyway, after walking a few kilometers underground we reached the first stopes` area rich in minerals. 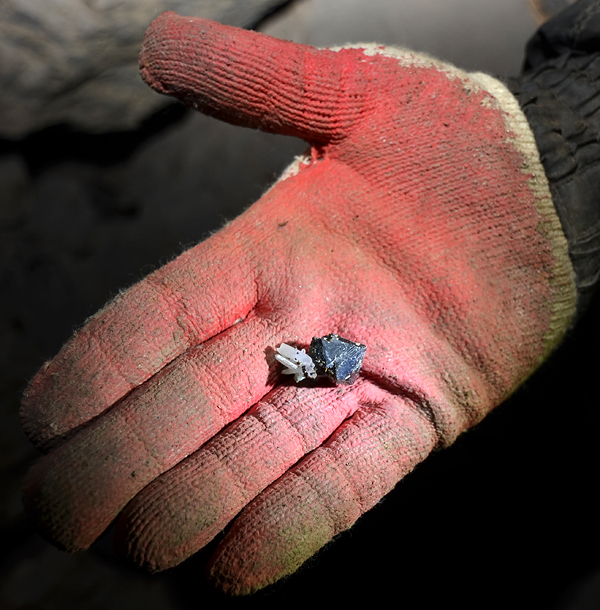 In the first spot we discovered several pockets with quartz and skeletal galenas – natural ones, not sculptured like the ones seen on the market sometimes... 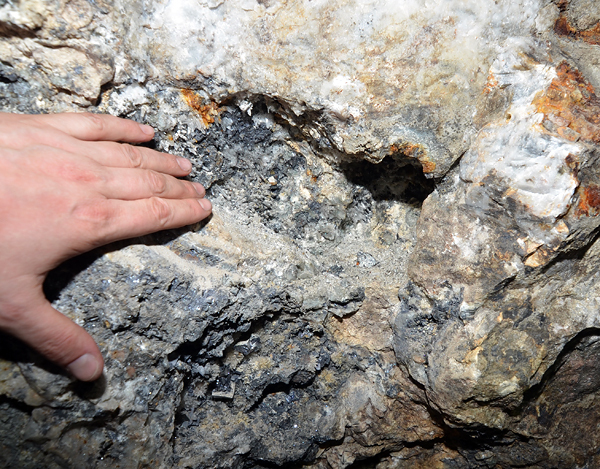 Size of cavities reached there up to 0,5 m. Close from there we visited a zone with cleiophanes associated with green quartz, which is very typical for the mine. 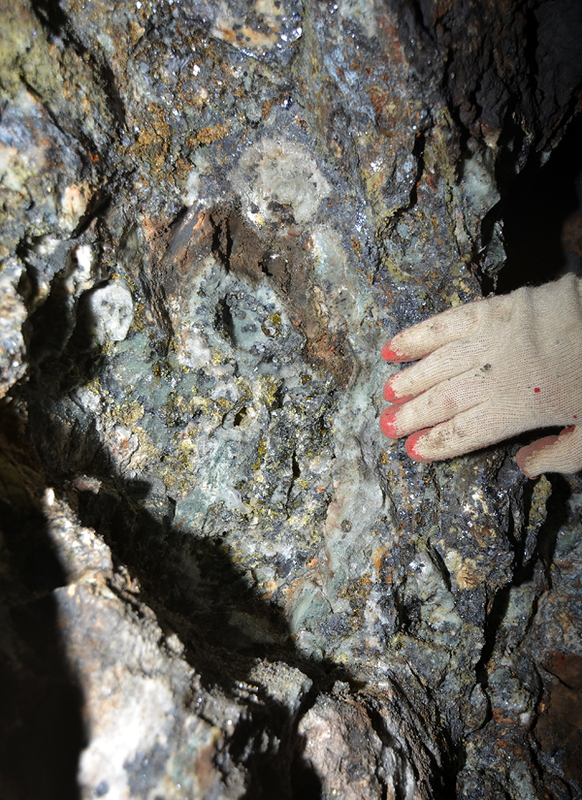 Here pockets were much smaller, but containing small gem crystals. 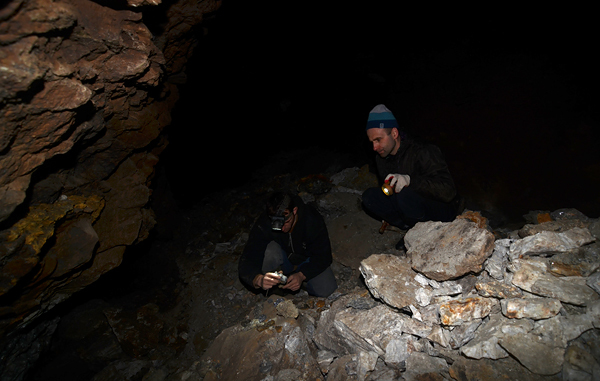 After digging a while we extracted several decent specimens. 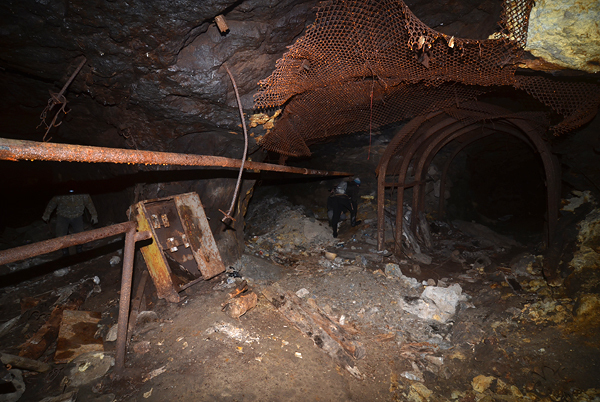 From this area we walked much further crossing several stopes, and than climbing to the upper levels of the mine, to the huge stops` area. 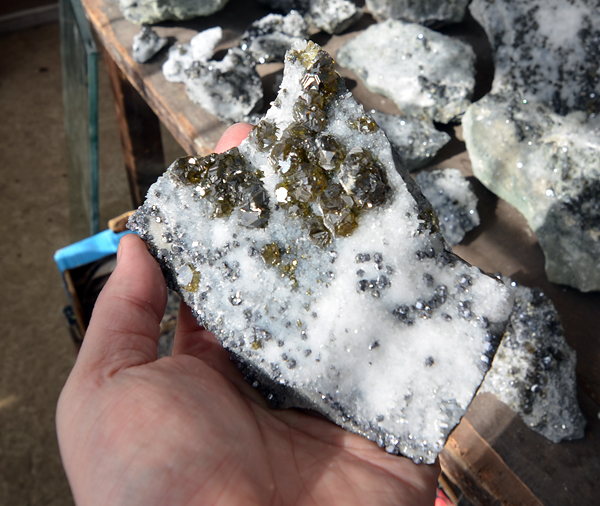 This area is famous for producing good galena and calcite specimens. 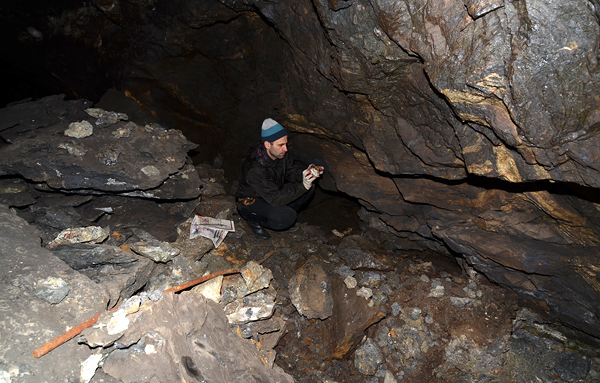 We spent some time collecting there in one of the huge, several hundred meters big stopes. 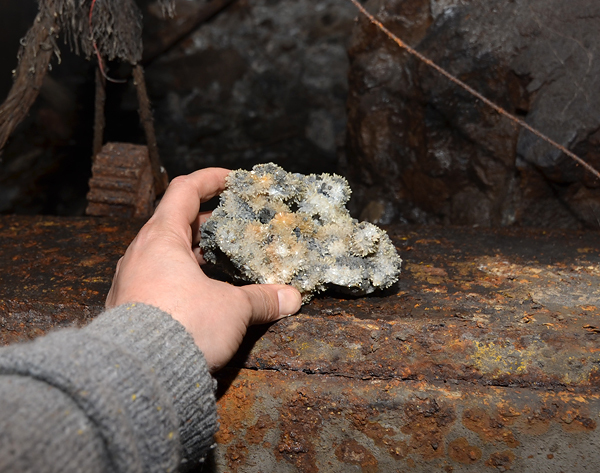 During the visit in Madan we had also luck to get some photos of the old (2010/2011) very important pocket in the Gidiurska mine from one of our friends. 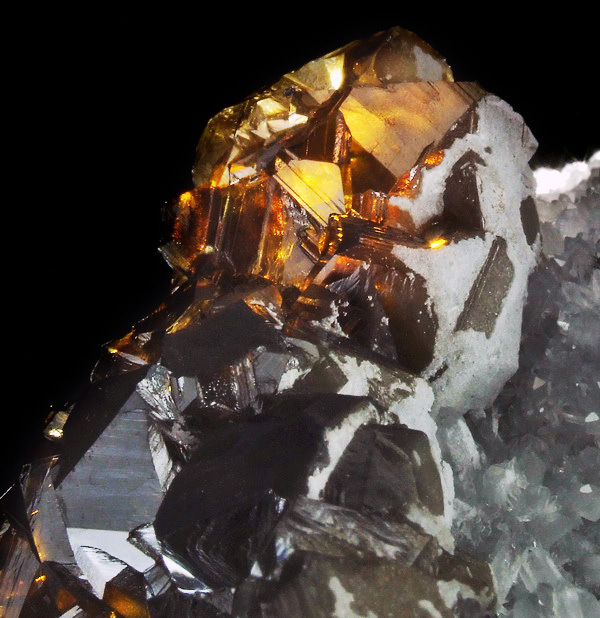 This pocket was huge and produced one of the best specimens from the mine – sharp, extremely lustrous cuboctahedral galenas on quartz. Some of the specimens were museum size. We are publishing these unique photos in this report! It is enough to say that the pocket was so big that 8 people could collect there in the same time! 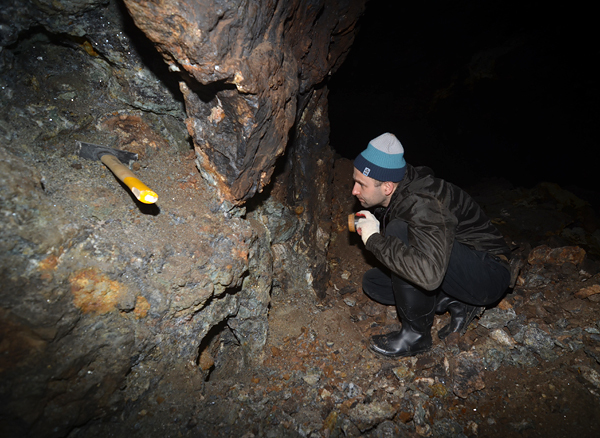 We spent also some time in Madan visiting miners, looking for good specimens and taking photos of mine entrances, and geological spots. 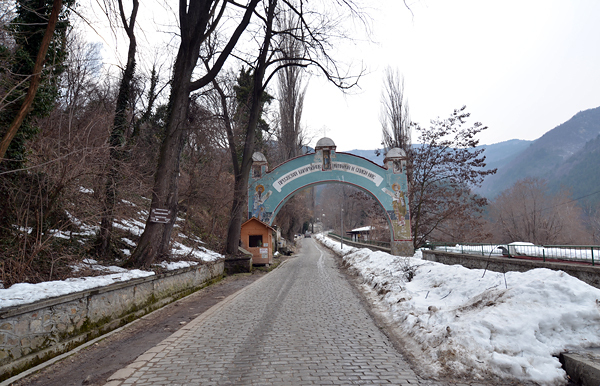 From Madan we drove to Laki area (about 80 km away) visiting on our way the famous Batchkovo Monastery. 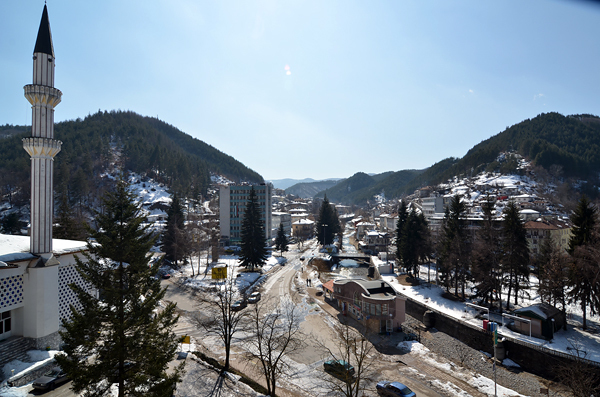 Laki area is the second, after Madan, famous mining area in the Rhodope Mts. 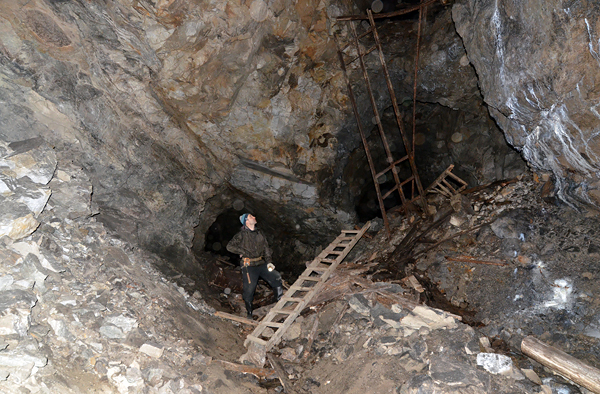 There are 2 active mines – Djurkovo and Droujuba. Both of them are located above the town in the valley in the mountains. 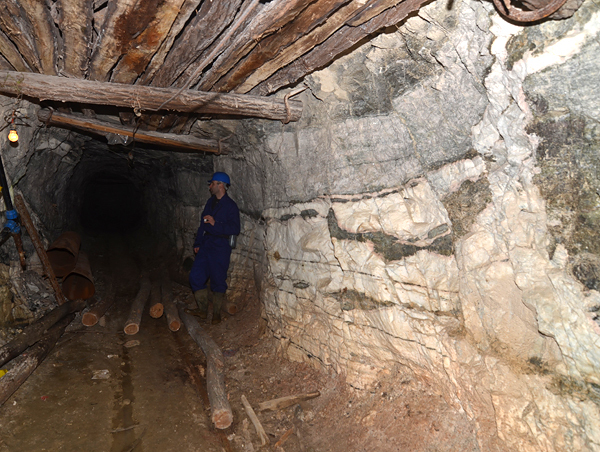 Djurkovo mine operates mainly in the ore vein and Droujuba in the metasomatic deposit. 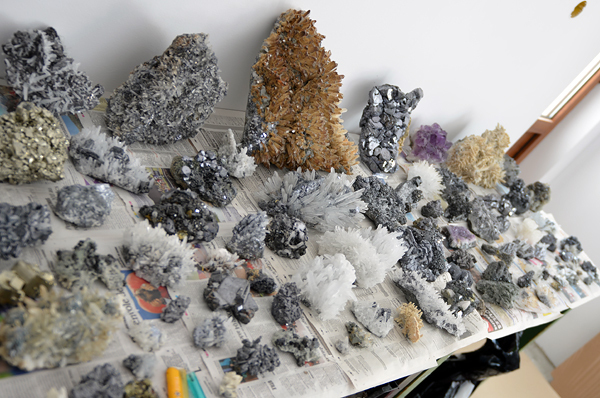 First of them is famous for producing quartz specimens, second – for dolomite pseudomorphs after calcite scalenohedrons. 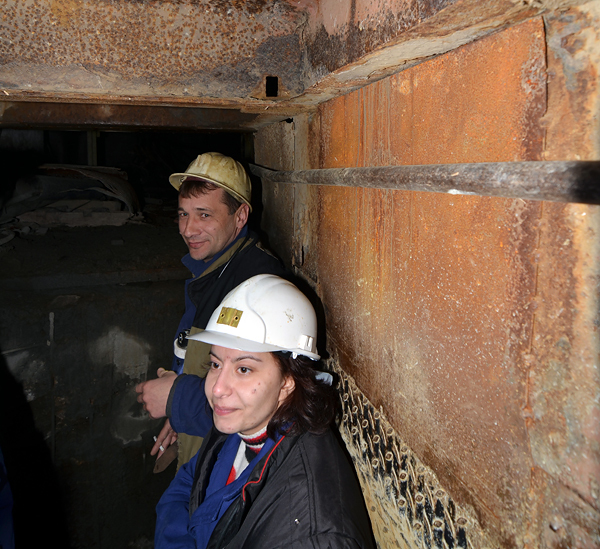 This time we had opportunity to visit Djurkovo mine. 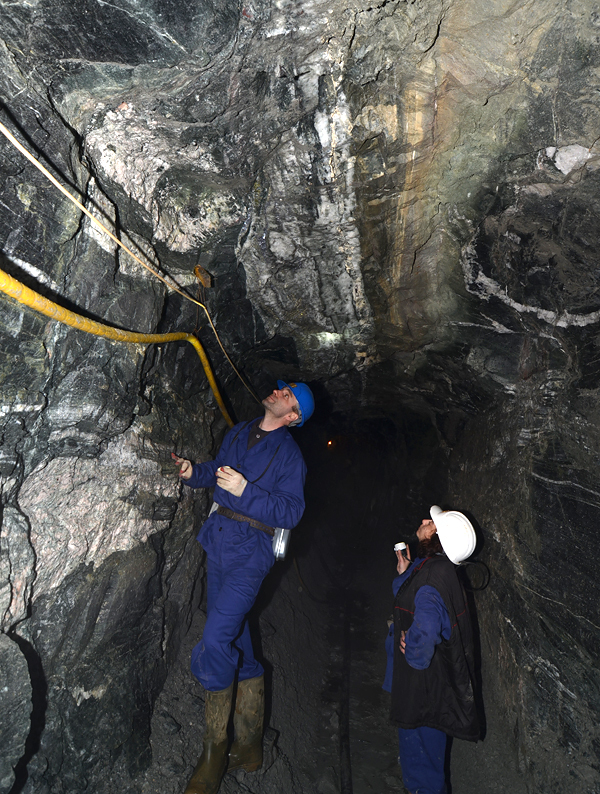 The first impression was that comparing to the mines in the Madan area the ones operated by Laki Invest in Laki were much better organized, modern and clean. 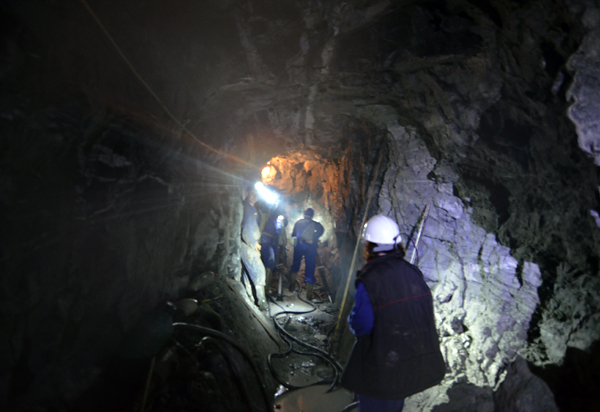 After changing into the mining clothes we went several hundred meters underground to see the main vein. 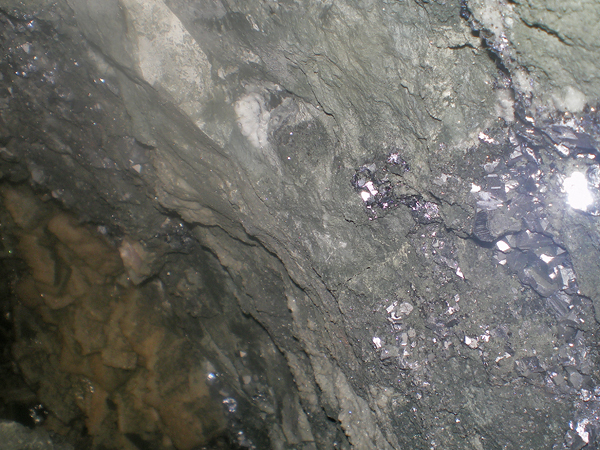 And again after walking a few kilometers underground and than descending by wooden ladders about 100 meters down, we reached operating face with well visible ore vein. Thickens of the vein varies from 20 cm to 1 m reaching usually around 40 cm. 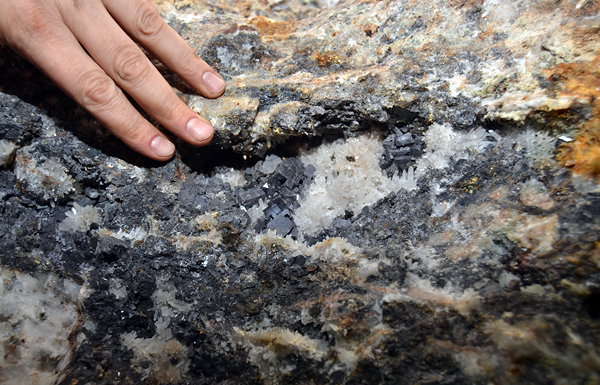 Vein is normally composed of quartz and sulphides, and contains only very few vugs with crystals. 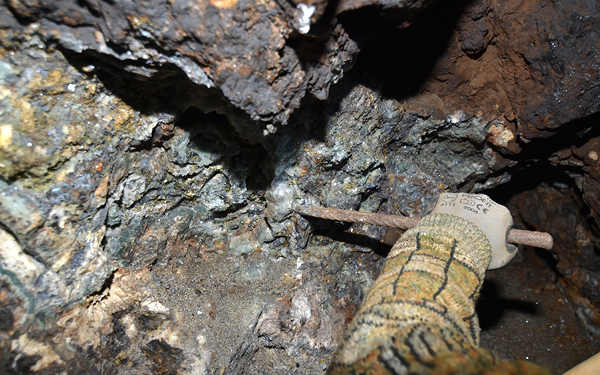 This is the reason why this mine does not produce many mineralogical specimens. 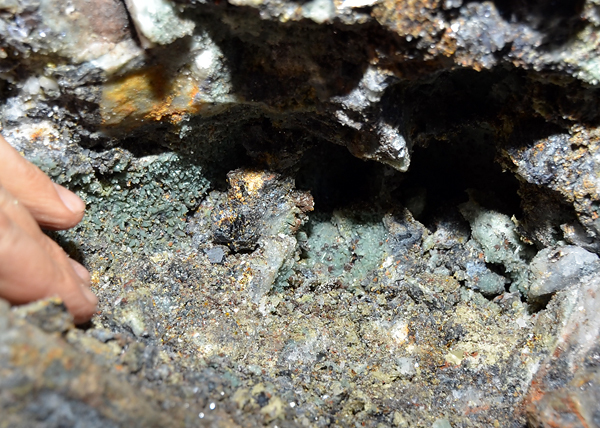 We saw only a few small pockets with no good quality crystals. 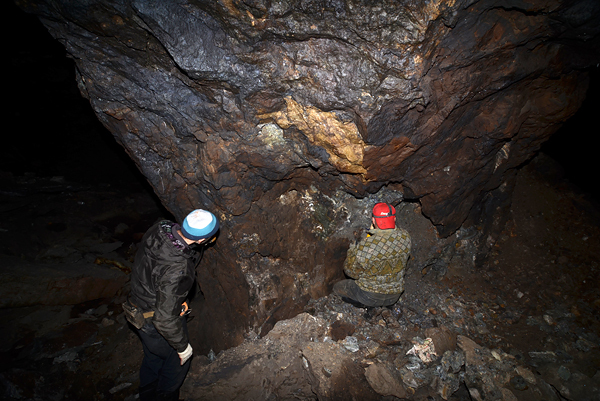 Anyway we were very happy to finally see the mine in the Laki area. After visit in Djurkovo we drove to Sofia and took flight back to Warsaw. 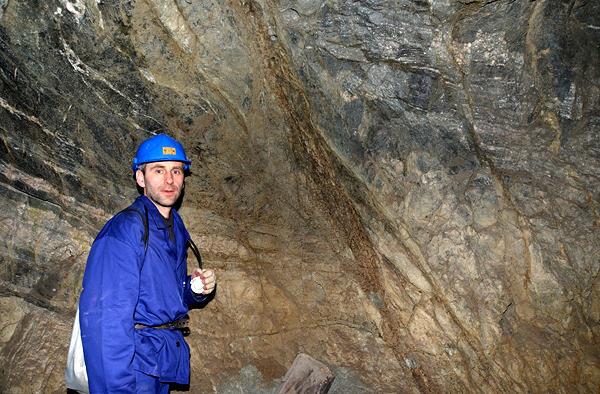 This visit was very intense because of the new and good quality minerals, visits in the mines and spending good time with friends. I am sure soon we`ll be back there! 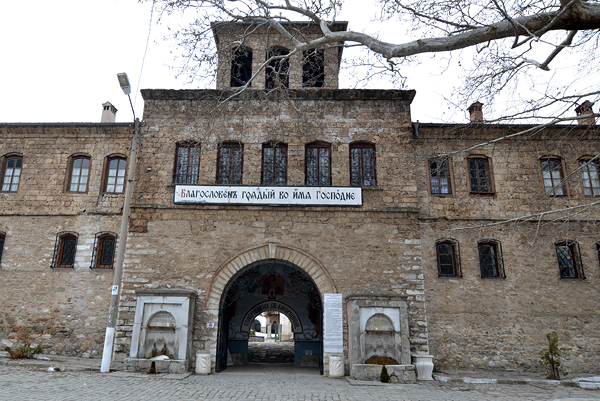 General view to Madan`s main square, minaret of a mosque on the left and Gorubco building in the center. T. Praszkier photo. 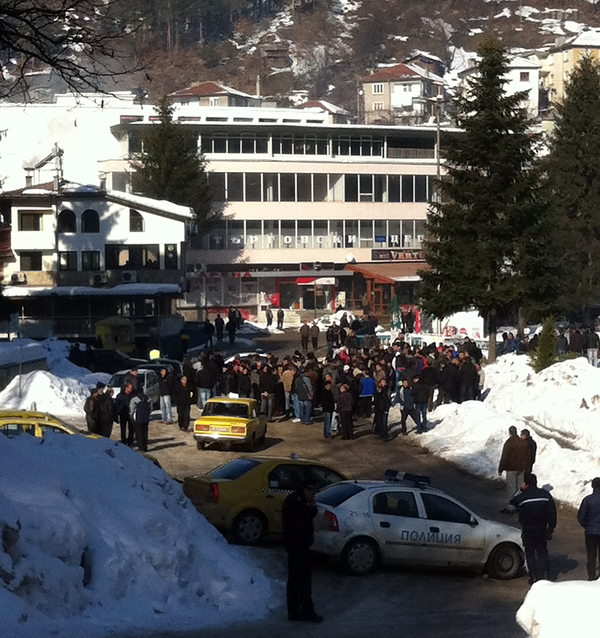 Striking miners on the main square. T. Praszkier photo. 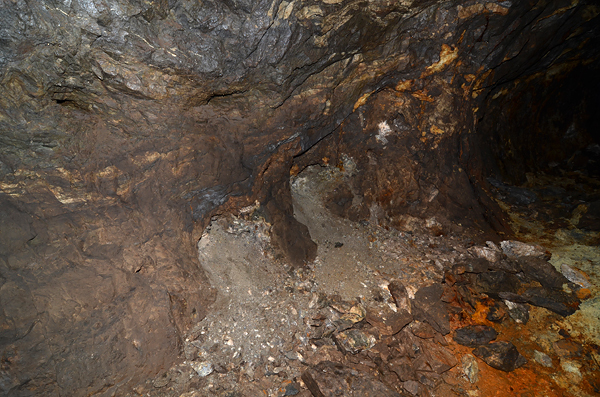 Mines in the Madan area, note the location of Krushev Dol mine. 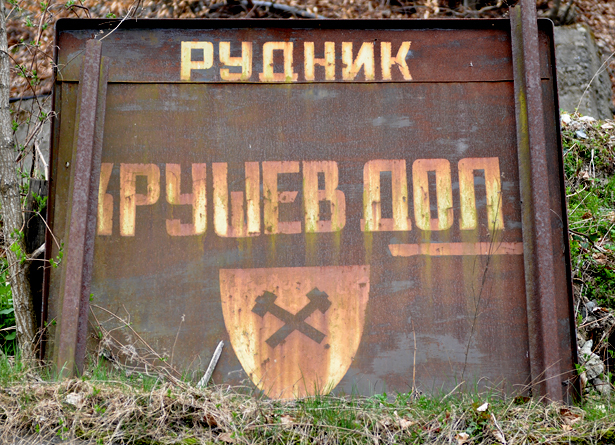 Sign at the entrance to the Krushev Dol mine. T. Praszkier photo. 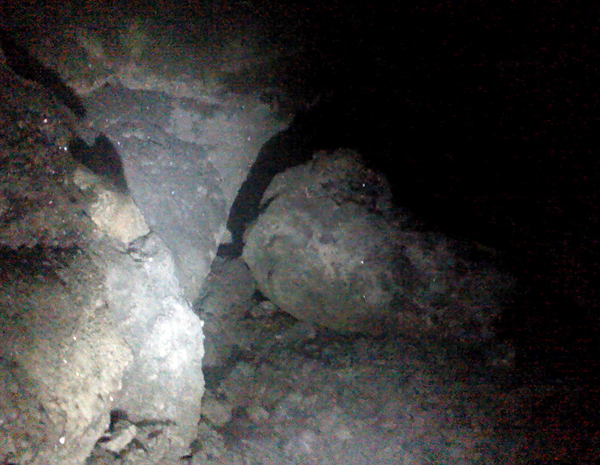 One of the only existing (poor quality) photos of the huge new pocket with cleiophanes in Krushev Dol mine. Some of the huge specimens (all need serious trimming) from the new cleiophane pocket. T. Praszkier photo. 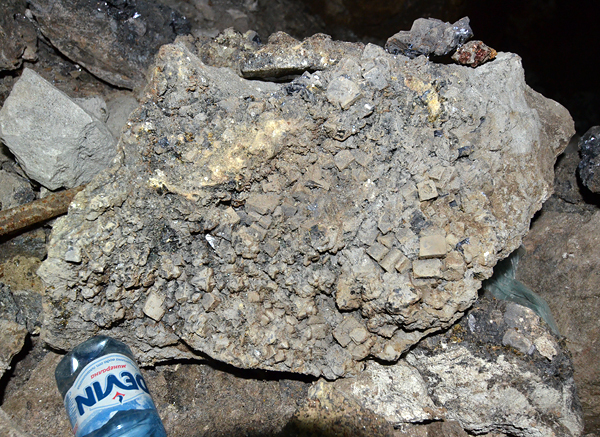 One of the new cleiophanes from Krushev Dol mine associated with quartz and galena. T. Praszkier photo. Huge specimens of new cleiophanes. T. Praszkier photo. 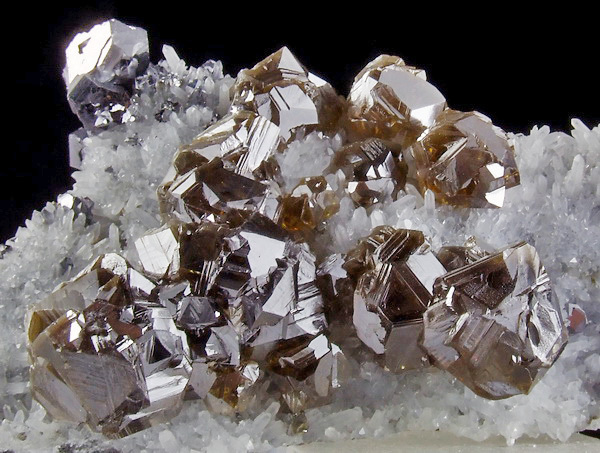 Cleiophane with quartz and galena. T. Praszkier photo. 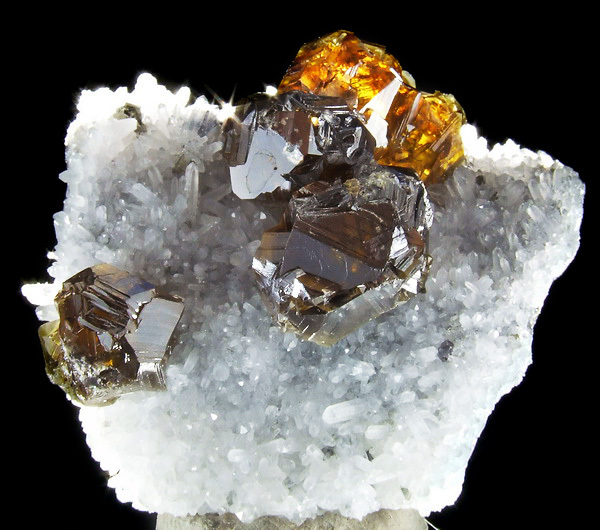 Cleiophane with quartz, specimen 5 cm. G. Bijak photo. Gem cleiophane with quartz. G. Bijak photo. 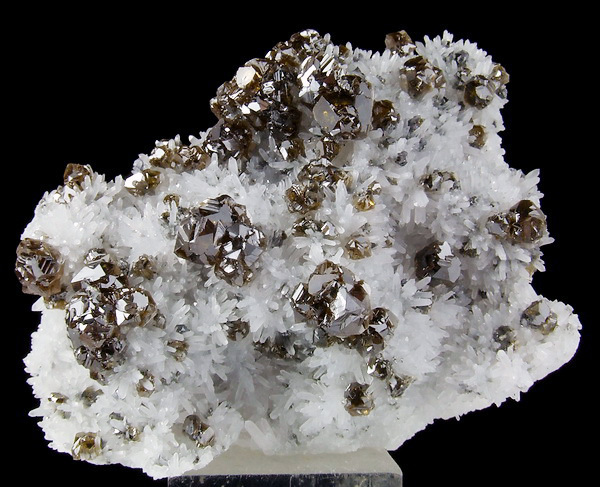 Cleiphane on quartz, specimen 9.5 cm. G. Bijak photo. 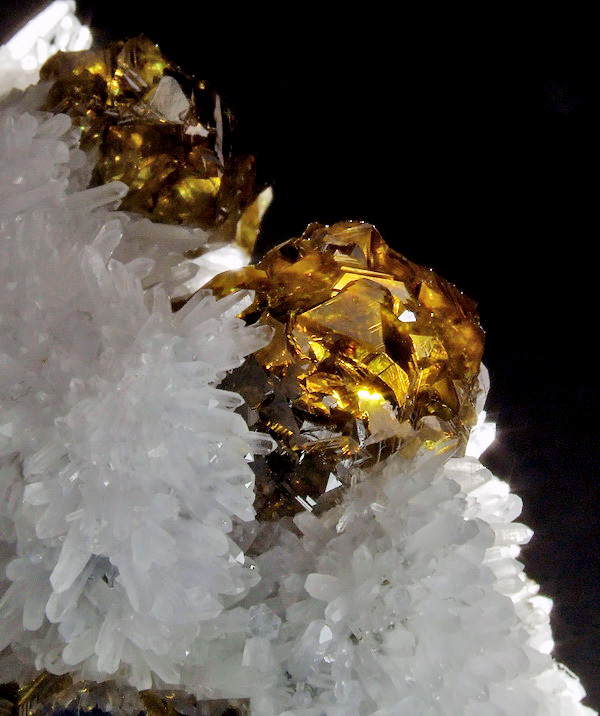 Cleiophane on quartz. G. Bijak photo. 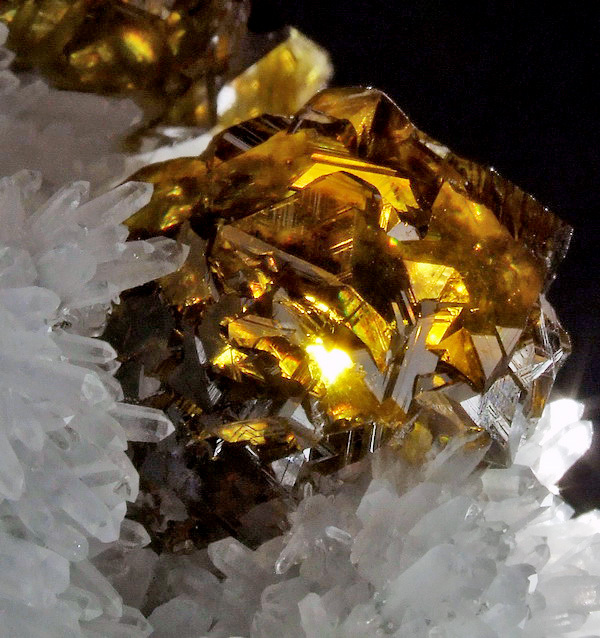 Gem cleiophane with quartz.. G. Bijak photo. 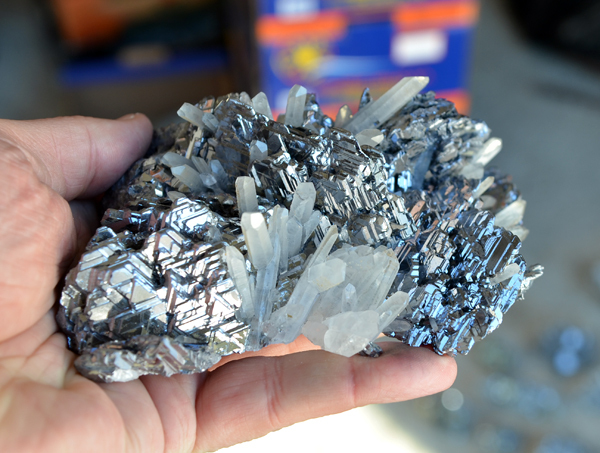 Huge cleiophane crystals with galena, chalcopyrite and quartz, specimen 10 cm. G. Bijak photo. 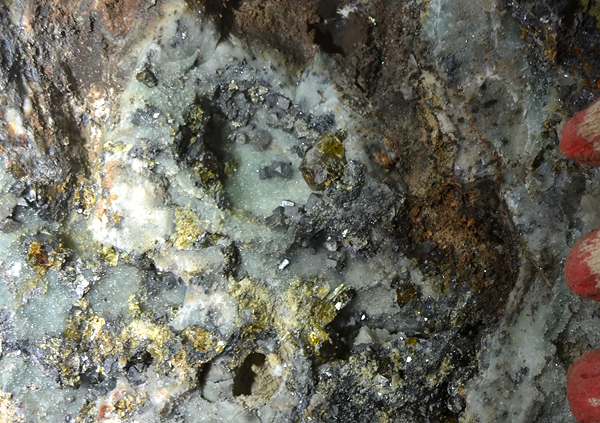 Close up of specimen showed above. G. Bijak photo. The same specimen with backlight. G. Bijak photo. 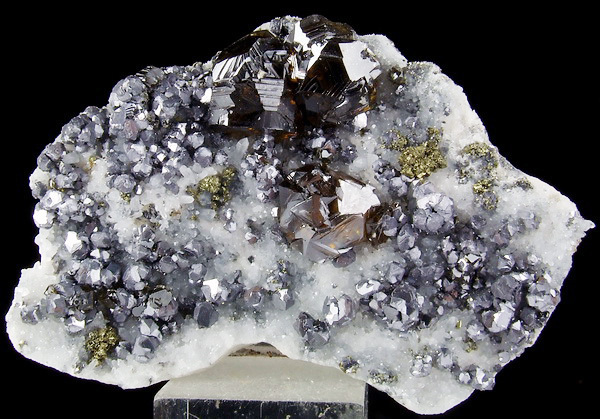 Another cleiophane with quartz and galena, specimen 12 cm big. G. Bijak photo. Cleiohane with a backlight. G. Bijak photo. 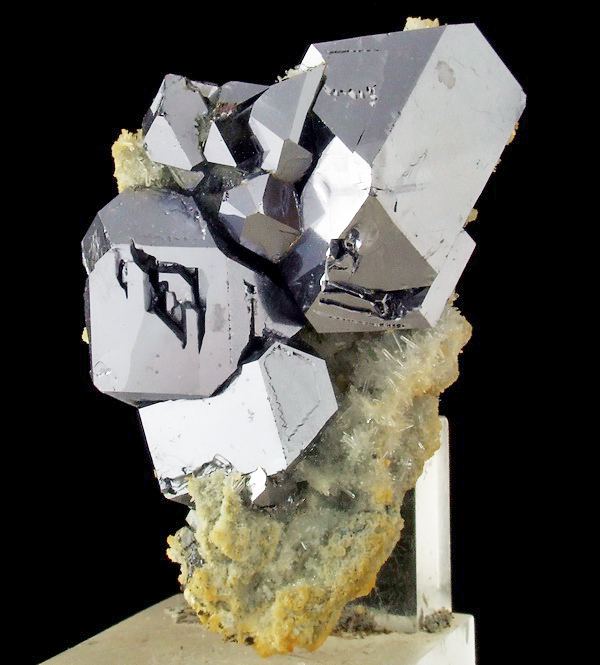 Extremely lustrous and sharp galena spinel law twinned crystals with quartz from Krushev Dol mine, specimen 9 cm big. G. Bijak photo. 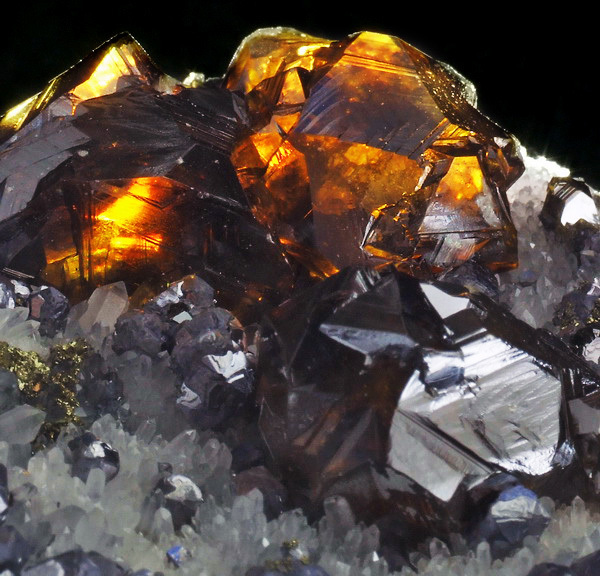 Spinel law twinned galena with quartz on sphalerite from Krushev Dol mine. T. Praszkier photo. 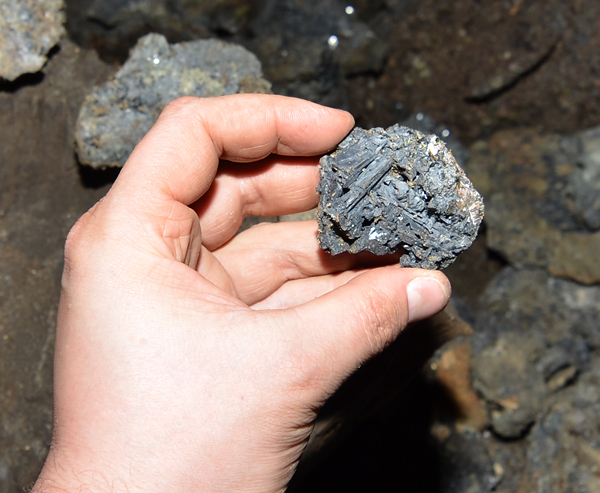 Extremely lustrous and sharp galena spinel law twinned crystals with quartz from Krushev Dol mine. T. Praszkier photo. 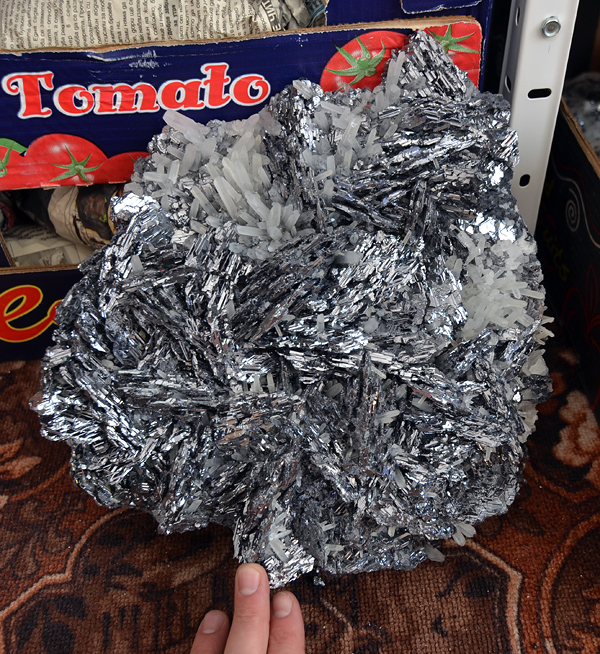 Superb specimen of huge spinel law twinned galena crystals with quartz from Krushev Dol mine. T. Praszkier photo. 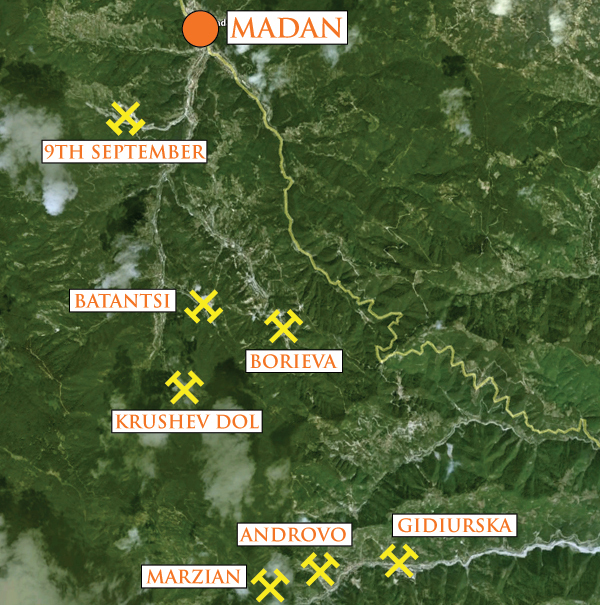 Mines in the Madan area, note location of the 9th September mine. T. Praszkier photo. 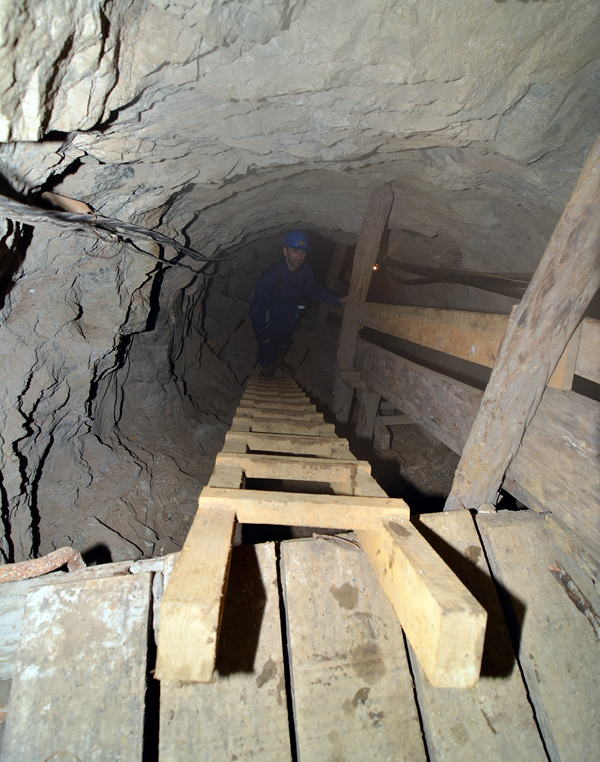 On the way to one of the mine entrances. T. Praszkier photo. 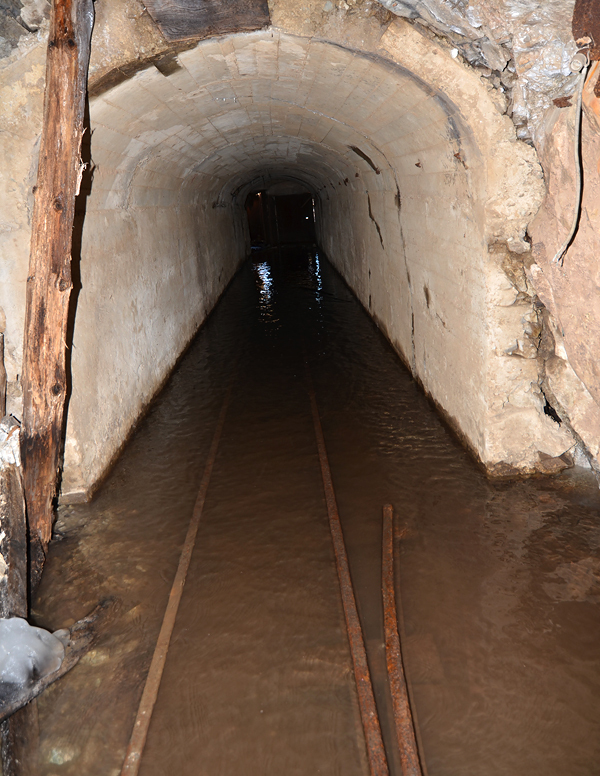 Partly flooded mine tunnel. T. Praszkier photo. Old shoos covered with the must. T. Praszkier photo. 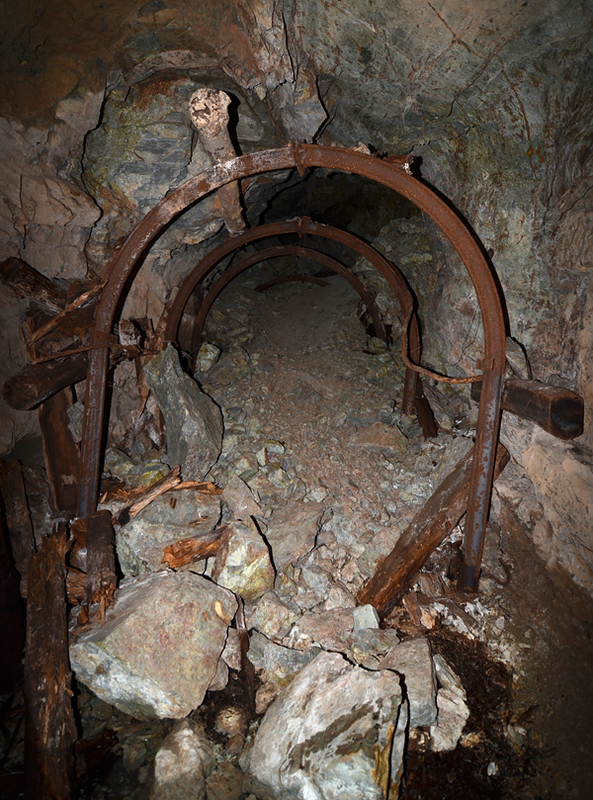 Partly collapsed mine tunnel - very difficoult place to pass. T. Praszkier photo. 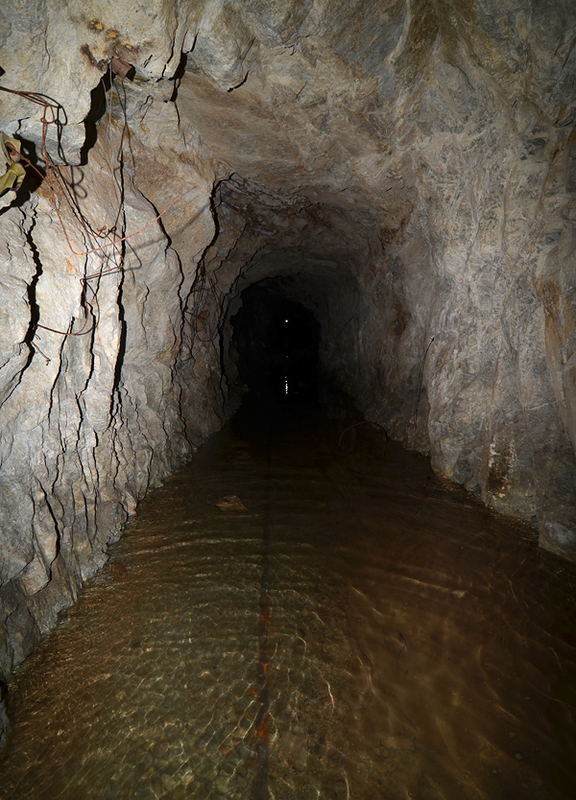 Another partly flooded mine tunnel - crystalline clear water. T. Praszkier photo. 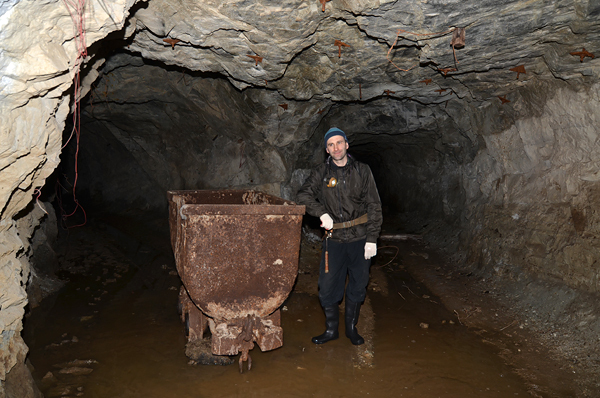 Jurek with a mining cart. T. Praszkier photo. Old shoring. T. Praszkier photo. Another collapsed zone we had to go through. T. Praszkier photo. Finally arrived to the zone with pockets. T. Praszkier photo. Jurek digging in the zone rich in pockets. T. Praszkier photo. Cleaned pockets. T. Praszkier photo. Big cleaned cavity. T. Praszkier photo. 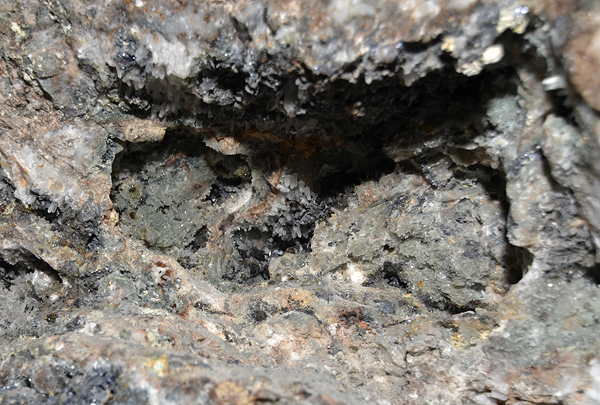 Small pocket with quartz and galena. T. Praszkier photo. 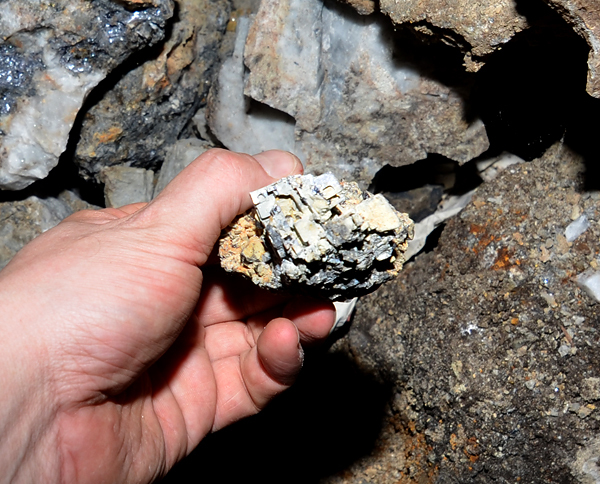 Quartz and galena in situ in the pocket. T. Praszkier photo. Natural skeletal galena collected by us in one of the pockets, size about 3 cm. G. Bijak photo. 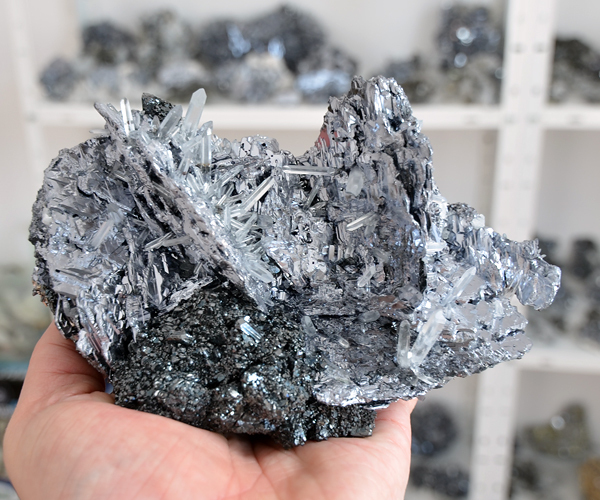 Flattened galena crystal. T. Praszkier photo. 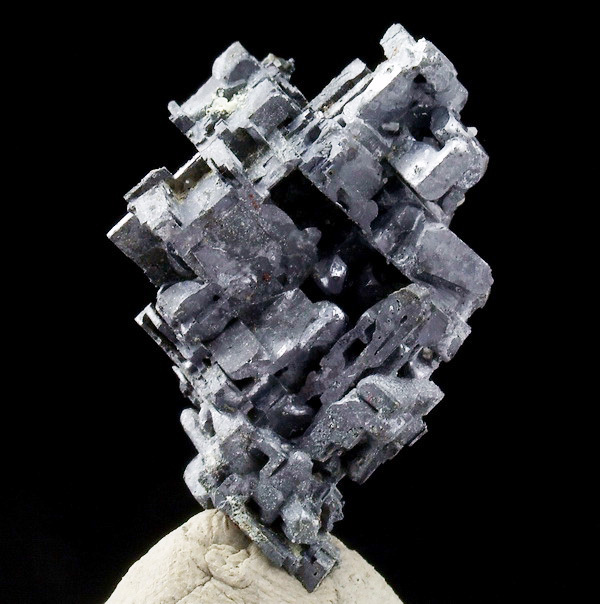 Skeletal galena crystal. T. Praszkier photo. 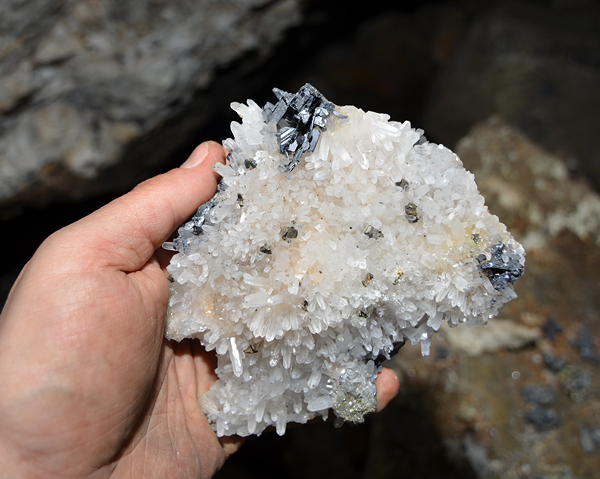 Freshly collected quartz with galena. T. Praszkier photo. 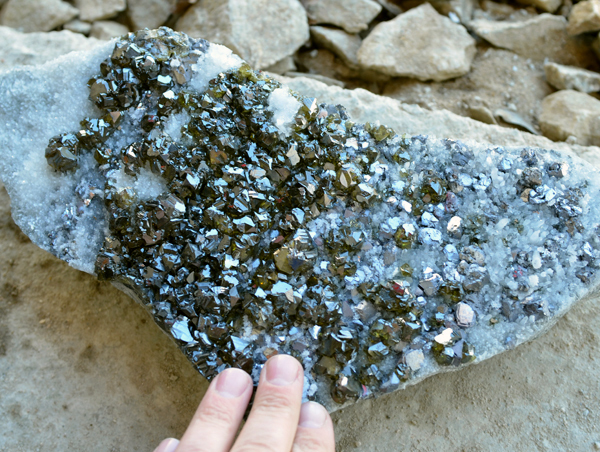 Small pocket with quartz crystals. T. Praszkier photo. Old pocket partly filled with water. T. Praszkier photo. 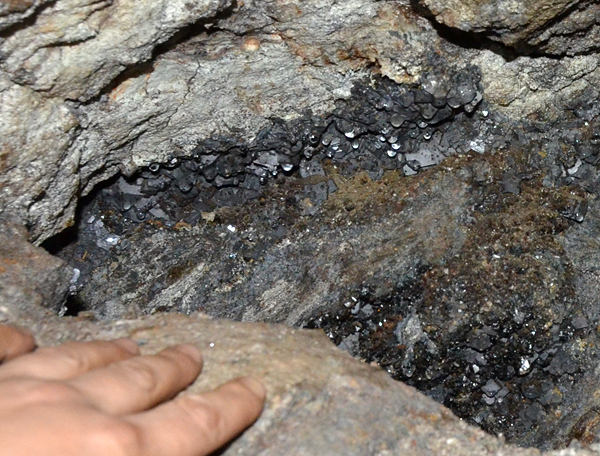 Huge stope where the cleiophane crystals occure. T. Praszkier photo. 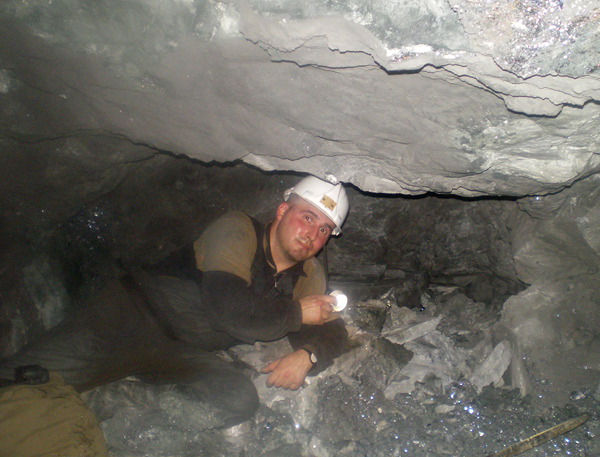 Collecting in cleiophane`s zone. T. Praszkier photo. Examining cleiophane`s zone. T. Praszkier photo. Cleiophane`s zone. T. Praszkier photo. Green clay filling pockets is very typical for many 9th September localities. T. Praszkier photo. 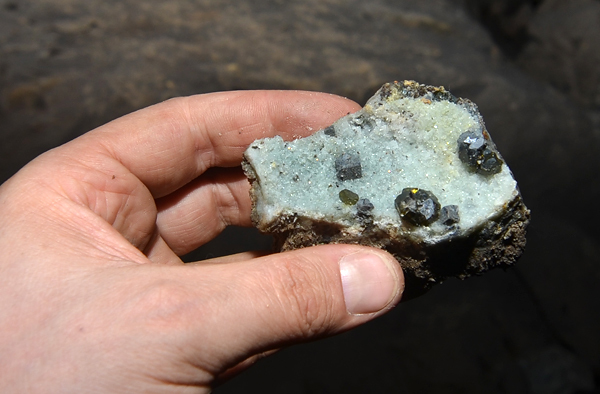 The vug with green quartz crystals. T. Praszkier photo. 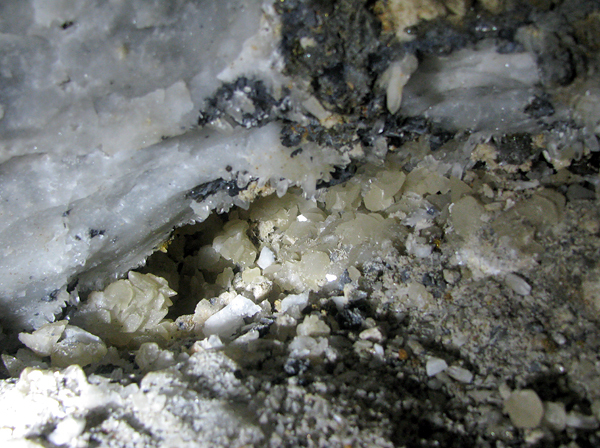 Zone with cleiophane crystals on quartz. T. Praszkier photo. 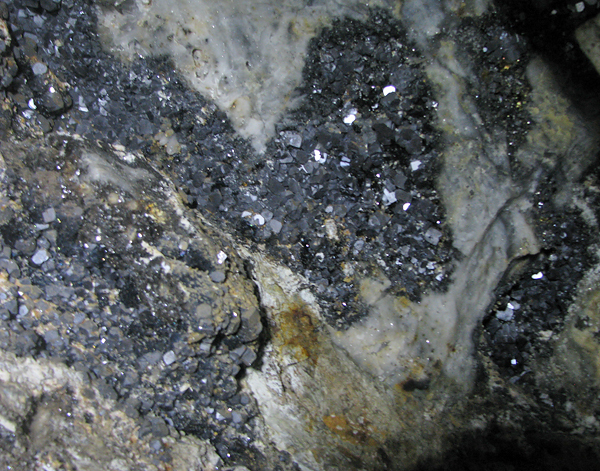 Cleiophane with galena on quartz in situ. T. Praszkier photo.  Collecting cleiphanes. T. Praszkier photo. 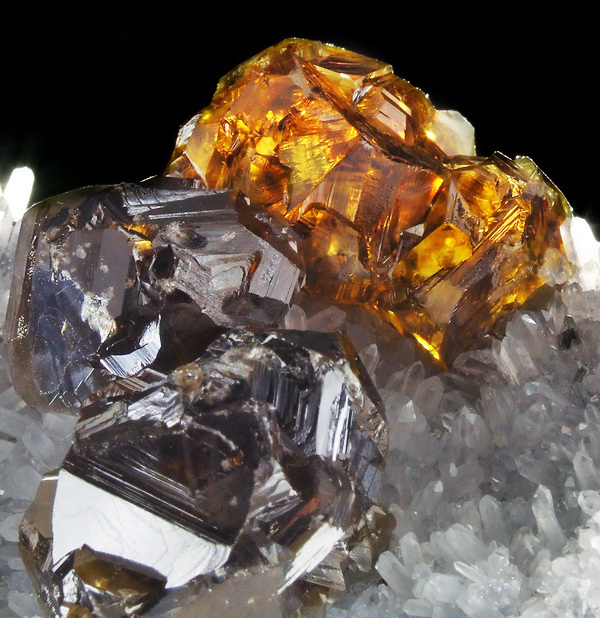 Cute thumbnail of sphalerite with quartz. T. Praszkier photo. 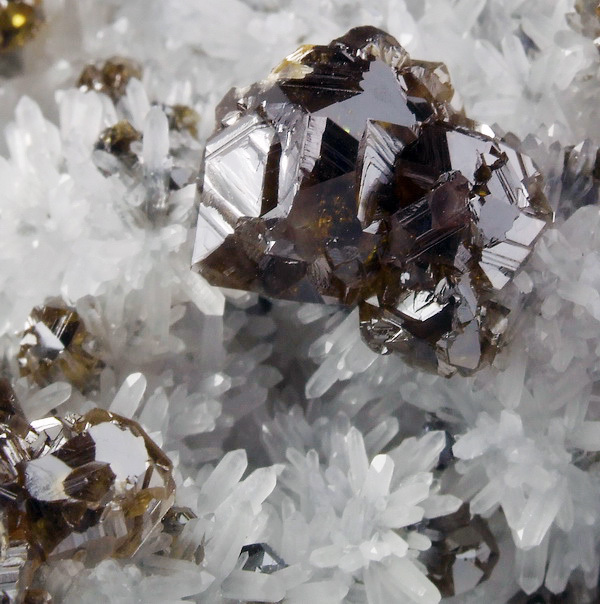 Cleiophane on quartz. T. Praszkier photo. The same specimen in the backlight. T. Praszkier photo. Another cleiophane. T. Praszkier photo. 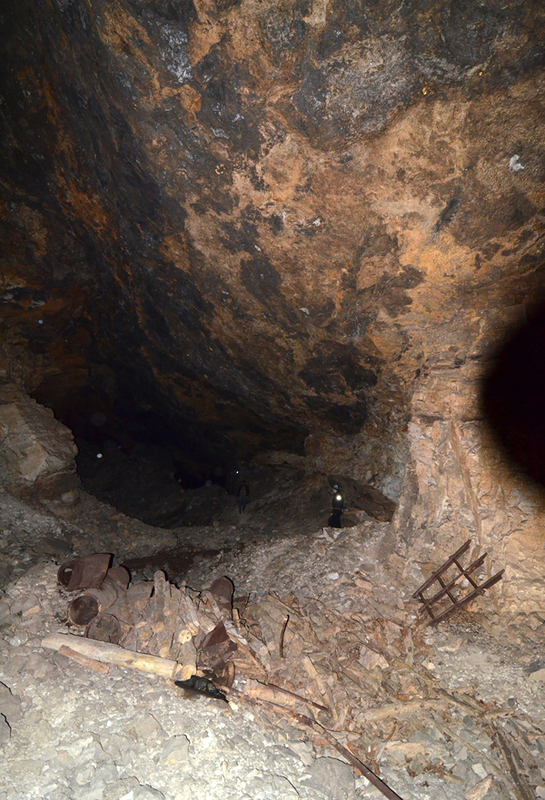 Later we moved further inside the mine. T. Praszkier photo. And climbed to the upper horiozns. T. Praszkier photo. Our head lights in the darkness. T. Praszkier photo. Climbing to the upper horiozns. T. Praszkier photo. 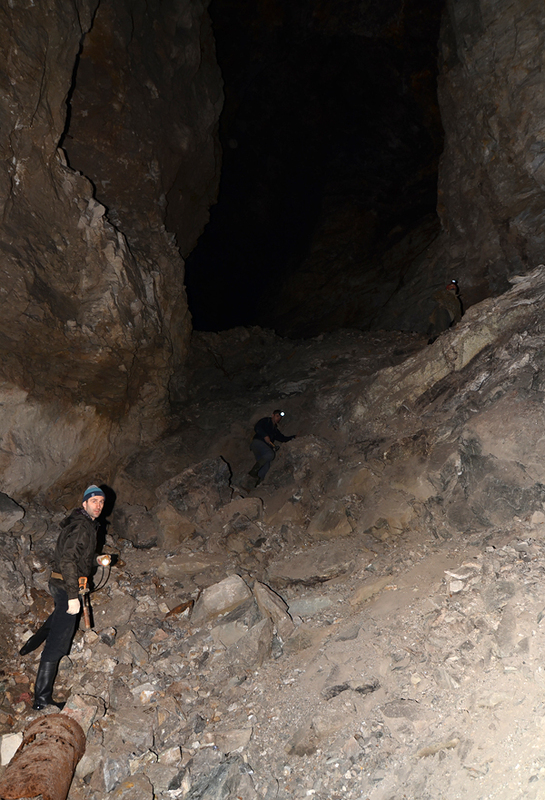 In the huge stope. T. Praszkier photo. Mining dam with opening made by mineral collectors. T. Praszkier photo. 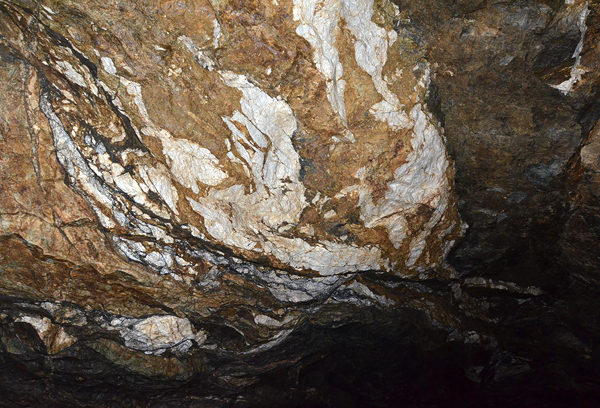 Metamorphic rocks with marble bodies in one of the stopes. T. Praszkier photo. Another huge stope - rich in pockets. T. Praszkier photo. Jurek in the pocket zone. T. Praszkier photo. Huge cleaned pocket. T. Praszkier photo. 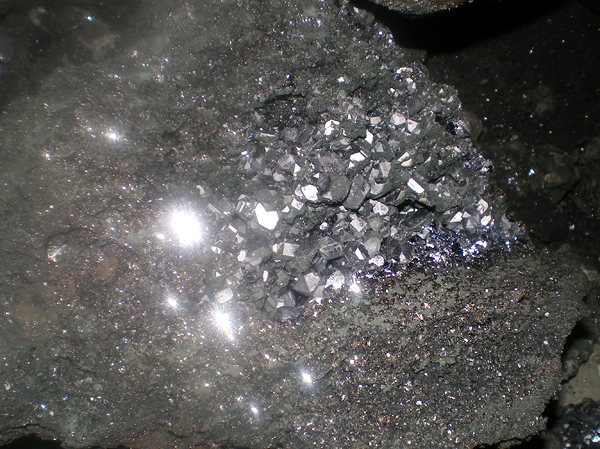 Pocket with galena. T. Praszkier photo. 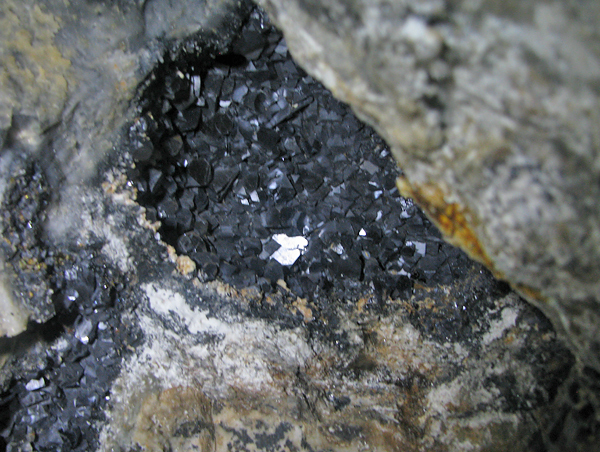 Galena crystals in situ with drops of water. T. Praszkier photo. 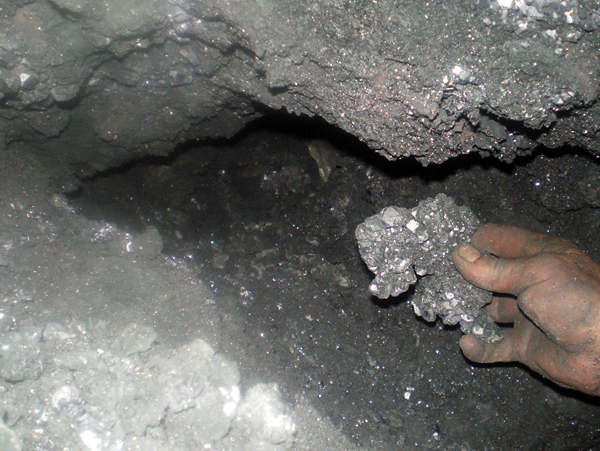 Big pocket with galena crystals. T. Praszkier photo. Another pocket with quartz. T. Praszkier photo. 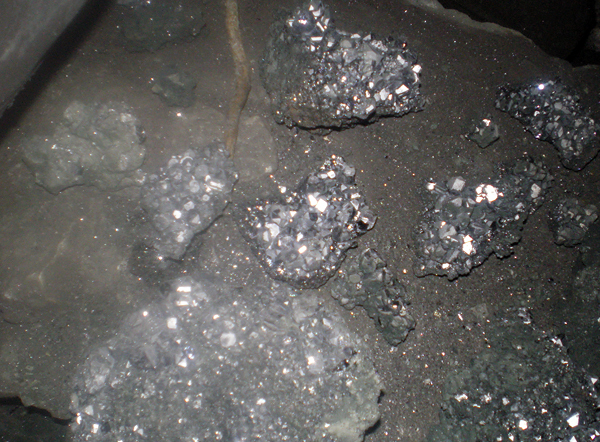 Pocket with good quality galena crystals. 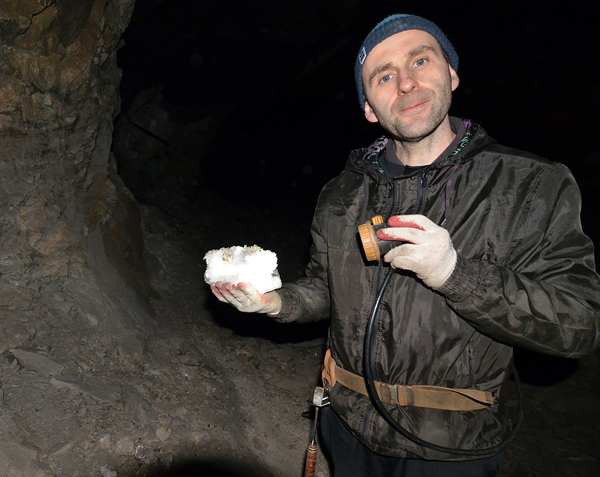 Jurek with self collected specimen of calcite on quartz. T. Praszkier photo. 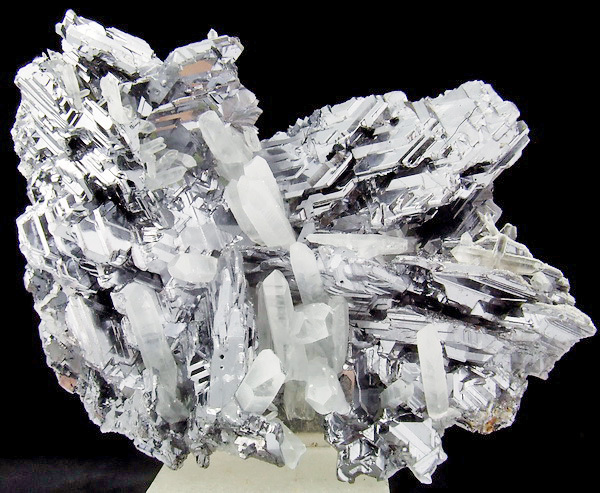 Huge specimen of galena - to heavy to take it back. T. Praszkier photo. 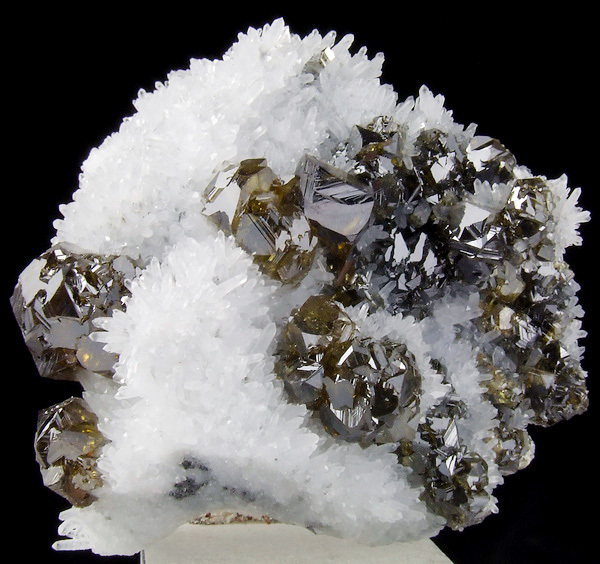 Skeletal galena on quartz. T. Praszkier photo. 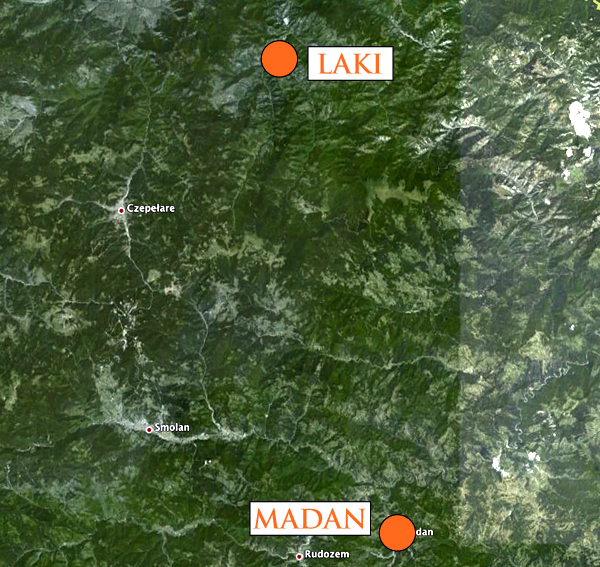 Mines in the Madan area, note the location of Gidiurska mine. 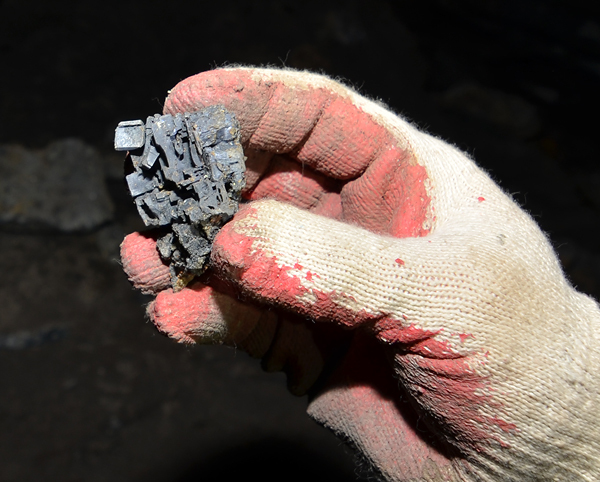 Unique photos of huge galena pocket discovered in Gidiurska mine - 8 miners could collect there at once! 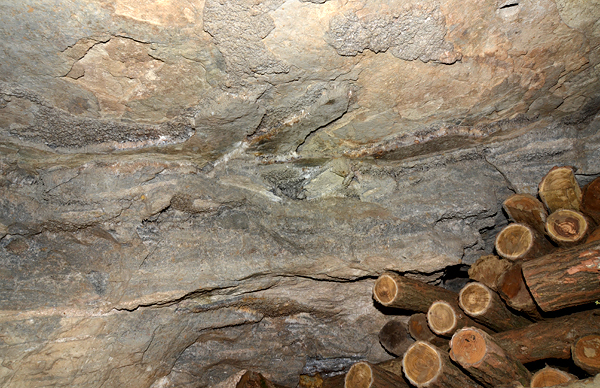 Galena in situ on the walls of the huge pocket in Gidiurska mine. 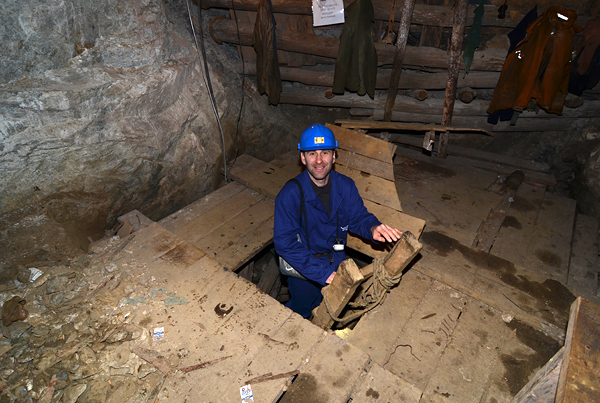 Collecting in the huge pocket in Gidiurska mine. Georgiej collecting in the superb pocket. One of thousends of specimens collected from the pocket shown above. G. Bijak photo. 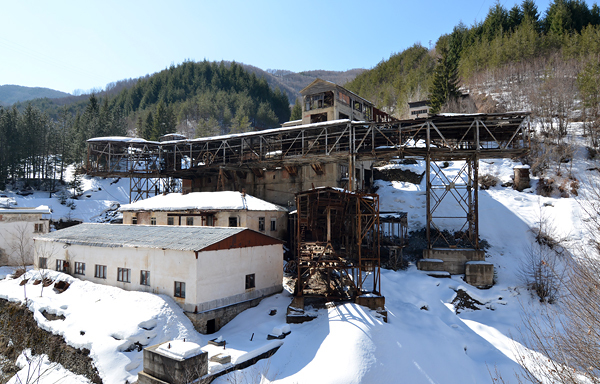 View to the Borieva mine in the snow. T. Praszkier photo. 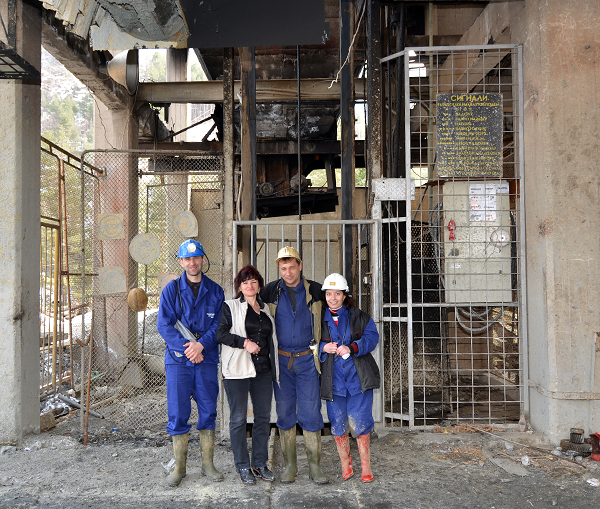 After visiting area we visited some of the miners. T. Praszkier photo. Mixture of specimens. T. Praszkier photo. 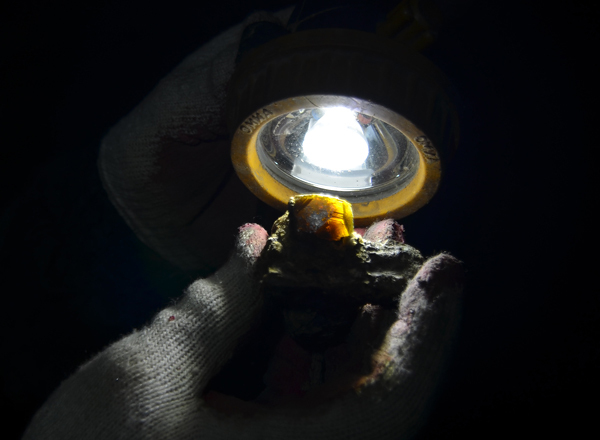 Bamzy proudly presenting golden gypsum plate with his name - note the quartz crystals. T. Praszkier photo. Our friend Shukrit examining the specimens. T. Praszkier photo. Isn`t that good place to keep specimens? T. Praszkier photo. After leaving Madan we drove to Batchkovo Monastyr. T. Praszkier photo. Batchkovo Monastyr. T. Praszkier photo. 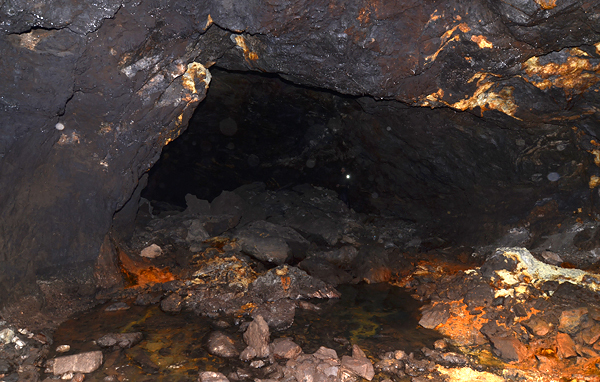 Our next stop was the Laki mining area. 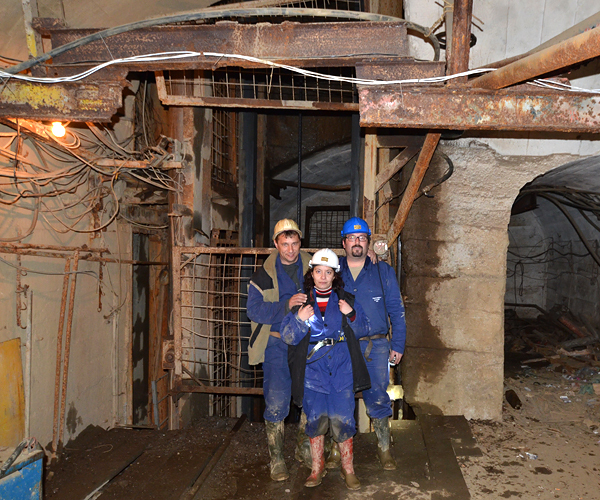 Mines in the Laki area, this time we visited Djurkovo mine. 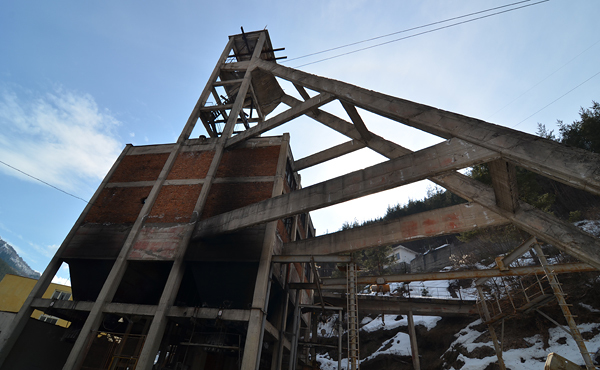 Head frame of the Djurkovo mine. T. Praszkier photo. 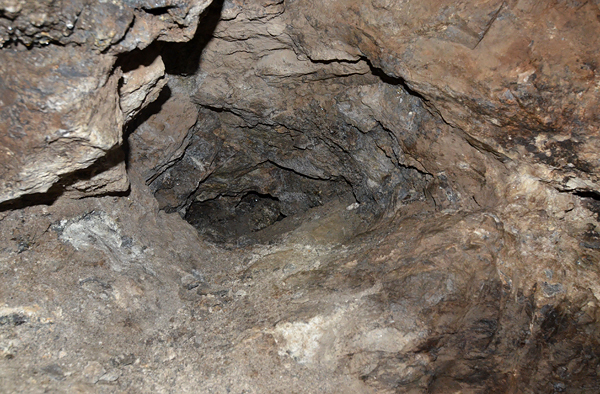 Going into the mine. T. Praszkier photo. Ready to go underground. T. Praszkier photo. In the lift. T. Praszkier photo. 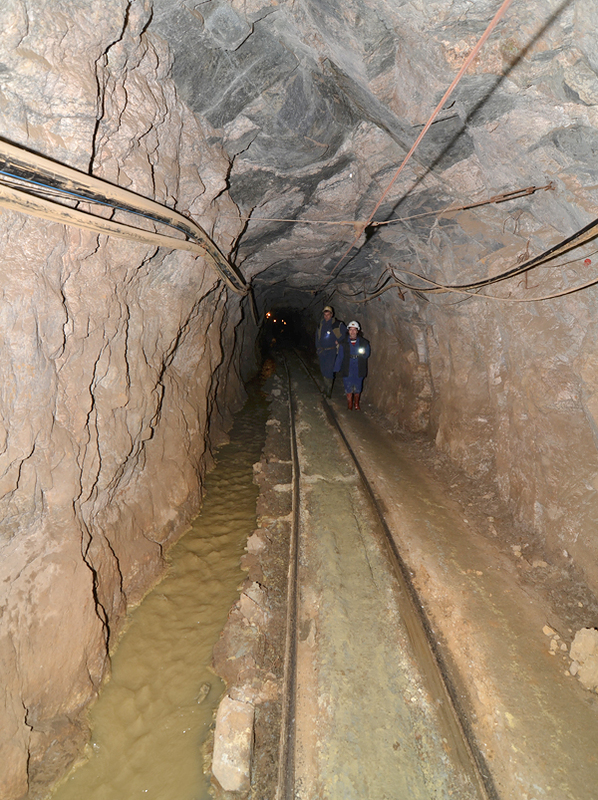 Again in the mine corridors. T. Praszkier photo. 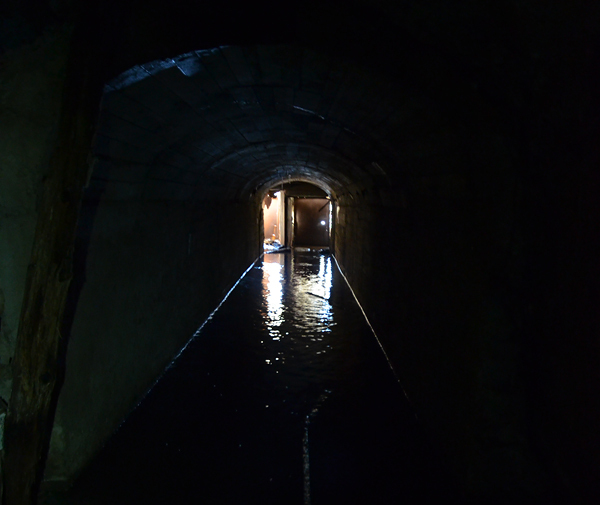 Going through the mine tunnels. T. Praszkier photo. 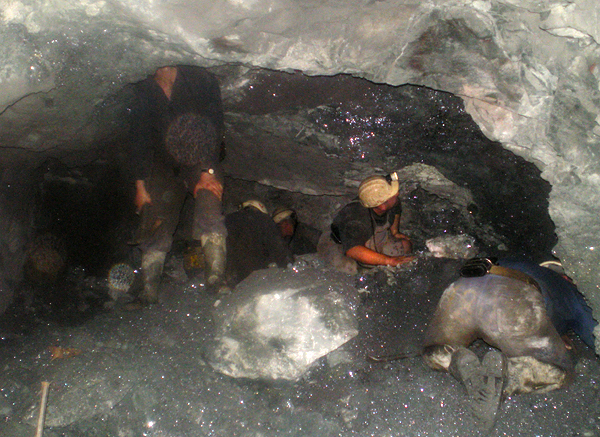 In the mine. T. Praszkier photo. Jurek with the marble body. T. Praszkier photo. Fault zone. T. Praszkier photo. 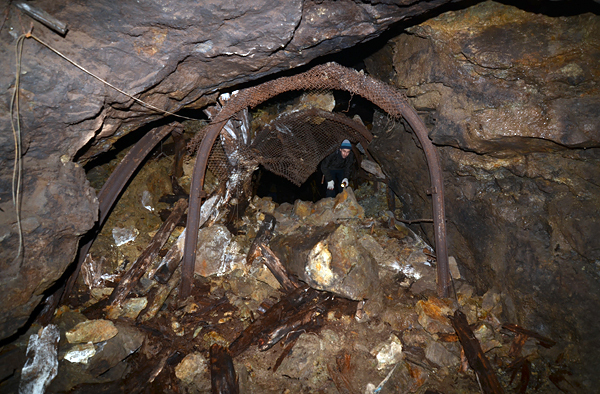 Going down to the lower mine workings. T. Praszkier photo. Going down with wooden ledders. T. Praszkier photo. Pockets with quartz. T. Praszkier photo. Pockets with quartz crystals. T. Praszkier photo. Mining area full of dust. T. Praszkier photo. 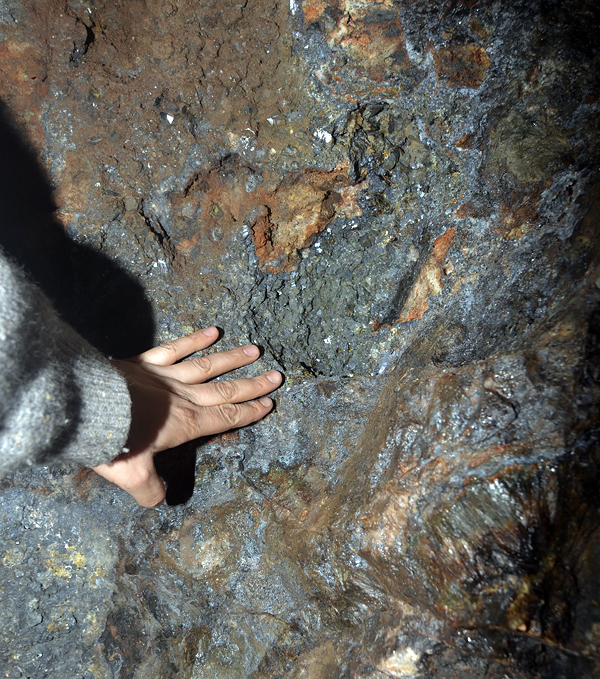 Examining the main vein. T. Praszkier photo. 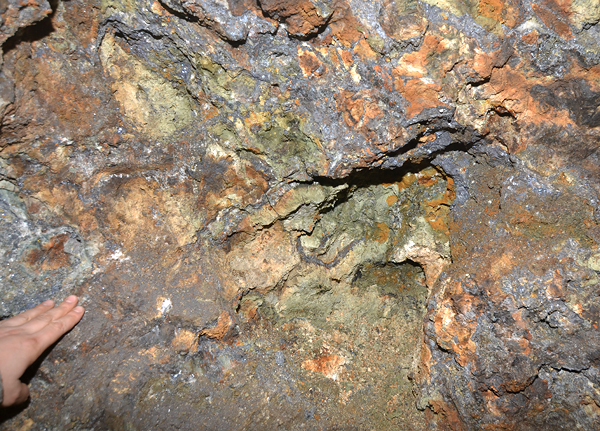 Main ore vein built by quartz, galena and pyrite. T. Praszkier photo. 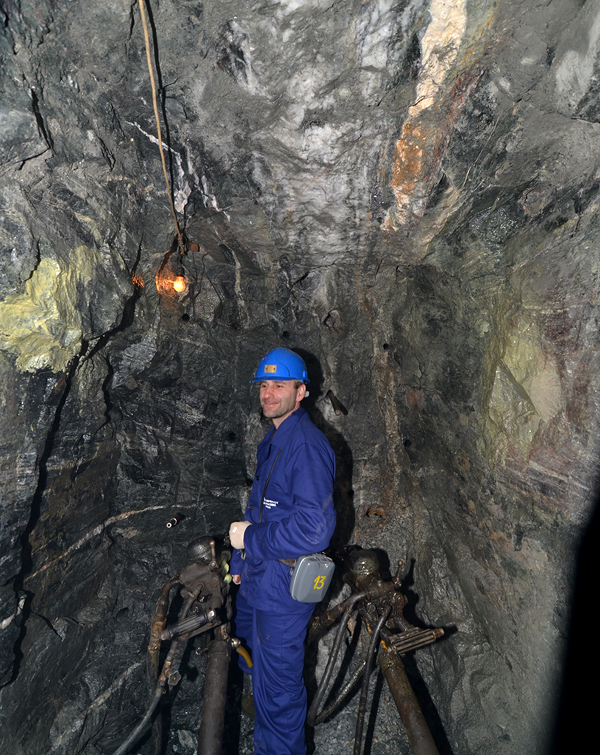 Jurek at the working face ready to start to drill... T. Praszkier photo. Underground with our friends. T. Praszkier photo. 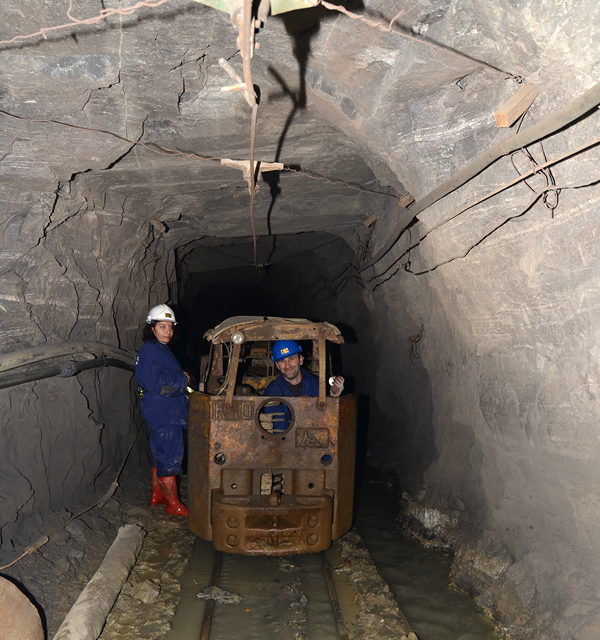 Jurek tried also to drive the mining train. T. Praszkier photo. Mining train full of the ore. T. Praszkier photo. Ready to go up after our visit. T. Praszkier photo. Again at the surface. T. Praszkier photo. 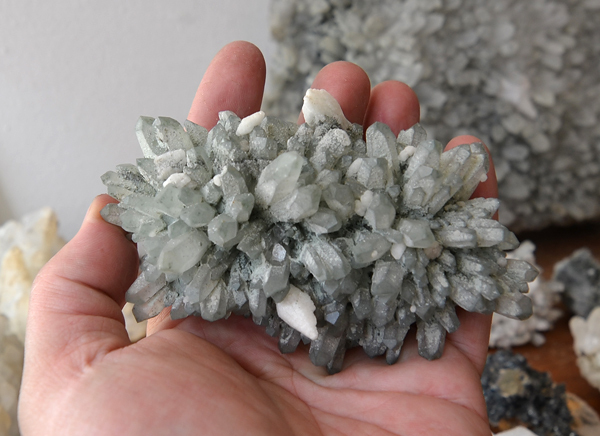 Quartz specimen from the Djurkovo mine. T. Praszkier photo. 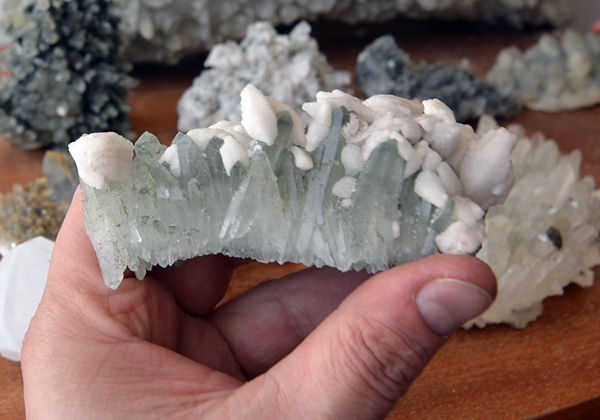 Quartz with calcite from the Djurkovo mine. T. Praszkier photo. Amazing article - very interesting information and wonderful photos! I am grateful for the care with which you document your collecting. I really enjoy seeing where the specimens come from. 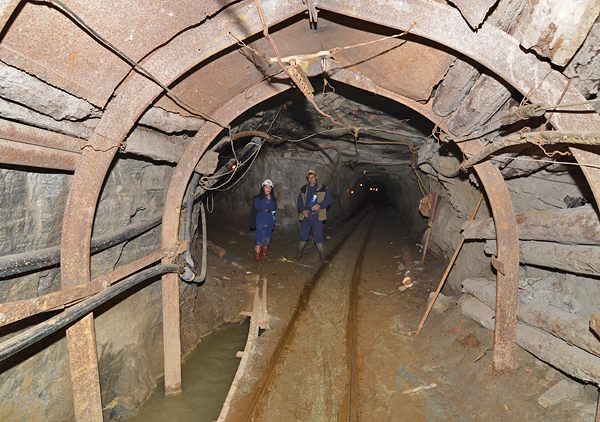 I have to laugh, I find some of the mine pictures a bit scary! 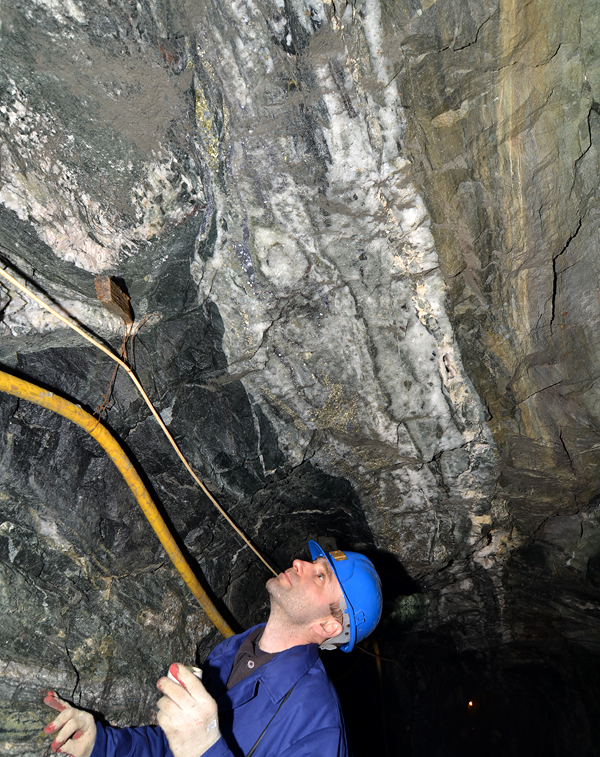 I`ll stick with groundwater geology!